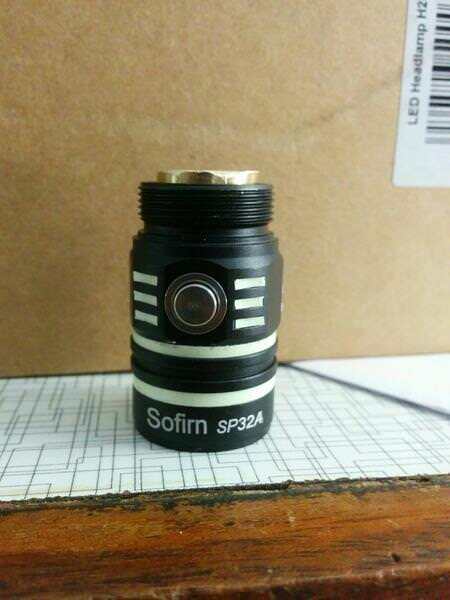 This is my review of the Sofirn SP32A! 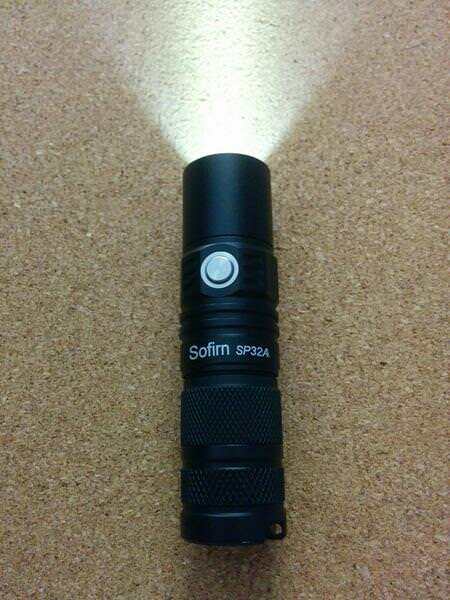 Sofirn sent me the flashlight for review, after communication with Tracy Wan and Cissy (AliExpress). I have no other compensation than the flashlight itself. 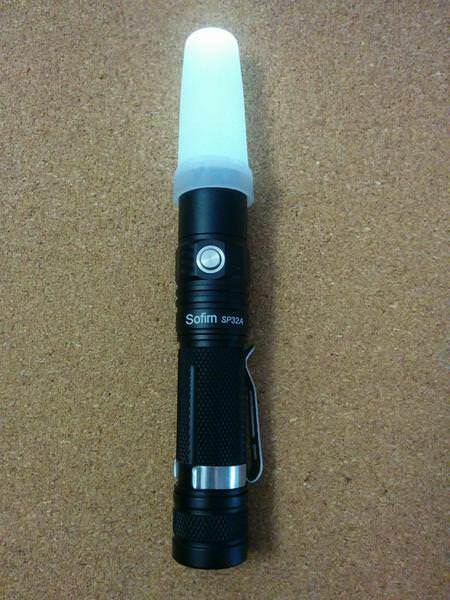 Thanks Sofirn and in particular Cissy for sending the light for review!! 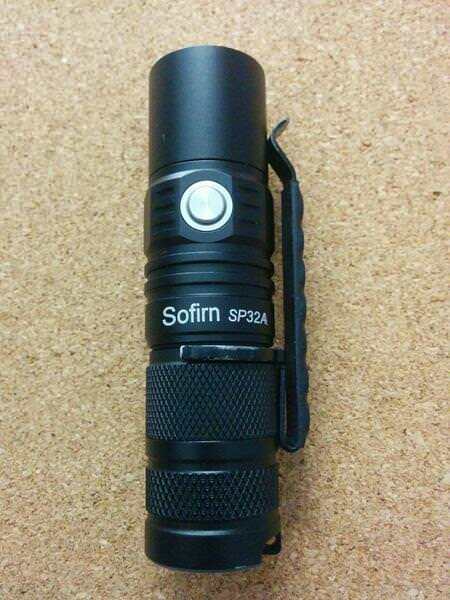 As some may have noticed, I am a bit of a “Sofirn” enthusiast, not only because they make nice flashlights at good/budget prices, but also because they really “listen” their costumers and implement some of the suggested things on their lights! For me, this is an example, that should be followed by others manufacturers! This said, I’ll start the review! 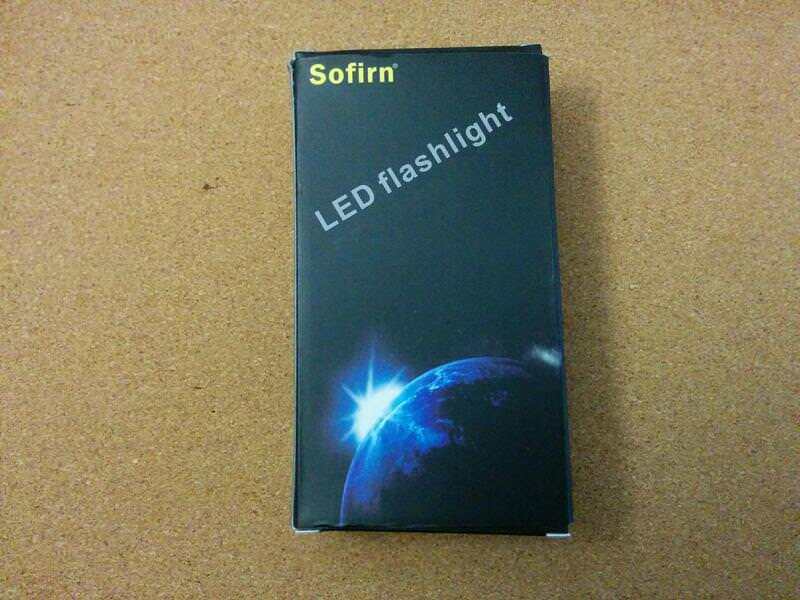 The Sofirn SP32A flashlight arrived inside a generic Sofirn box. No flashlight model is associated to the box, nor the box to the model inside. 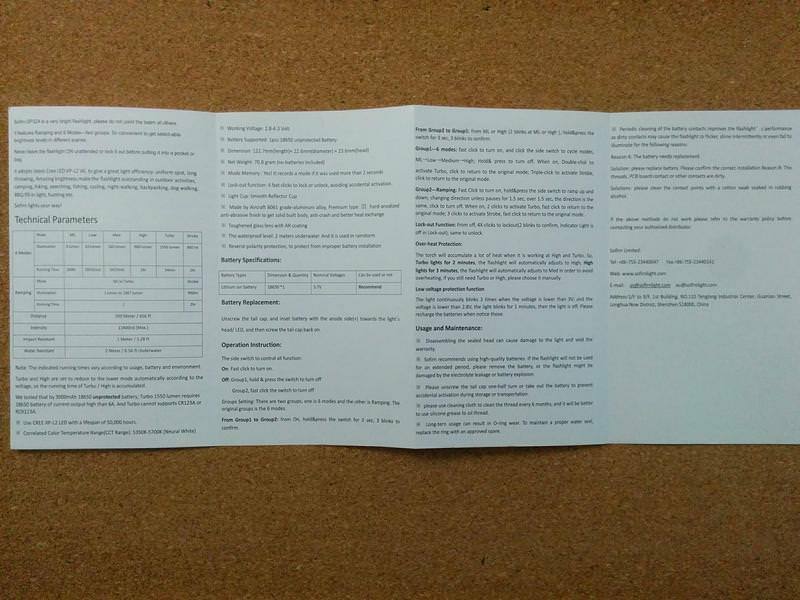 Yet, it arrived in good conditions and well packed inside paper/plastic bubble envelope. 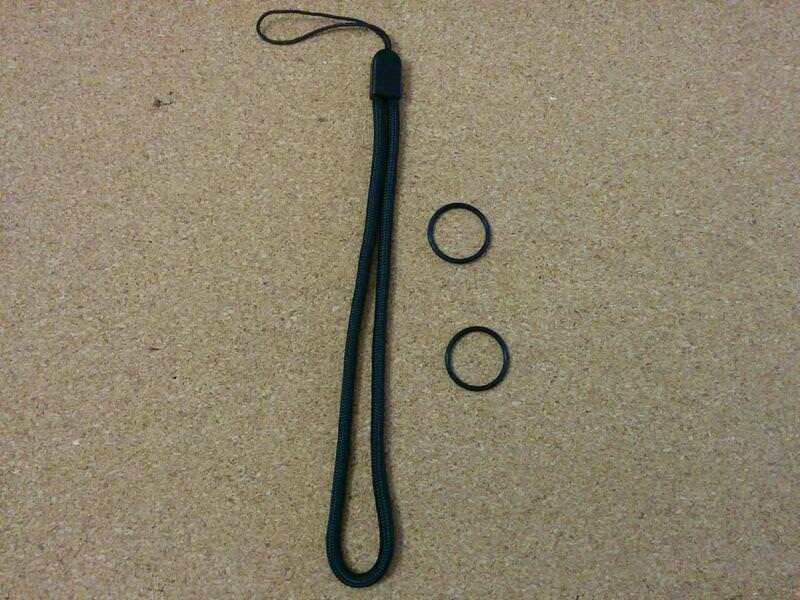 Inside the package I found the flashlight, a generic lanyard, 2 o-rings, the user manual, a store card. 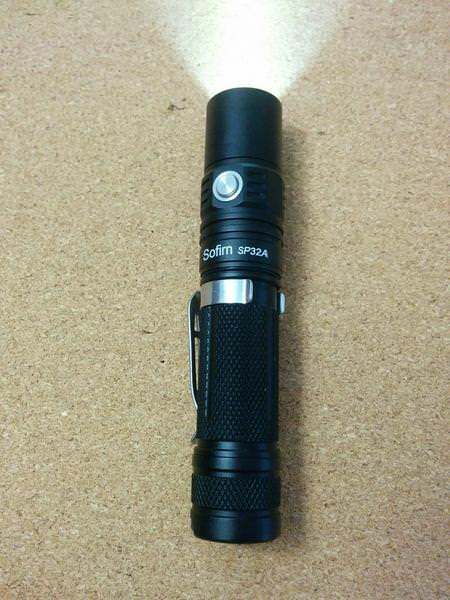 The SP32A is similar, in look, to the former SP32 model. 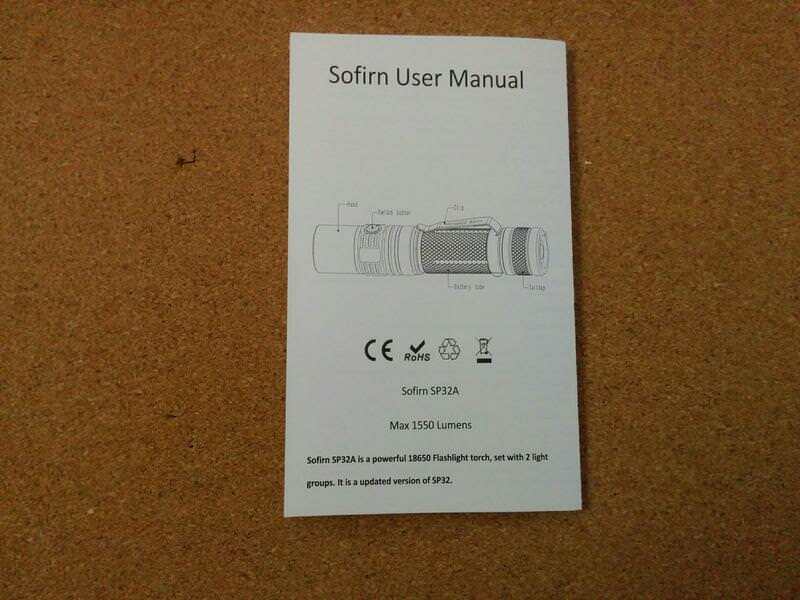 Sofirn performed this evolution mainly on the user interface. 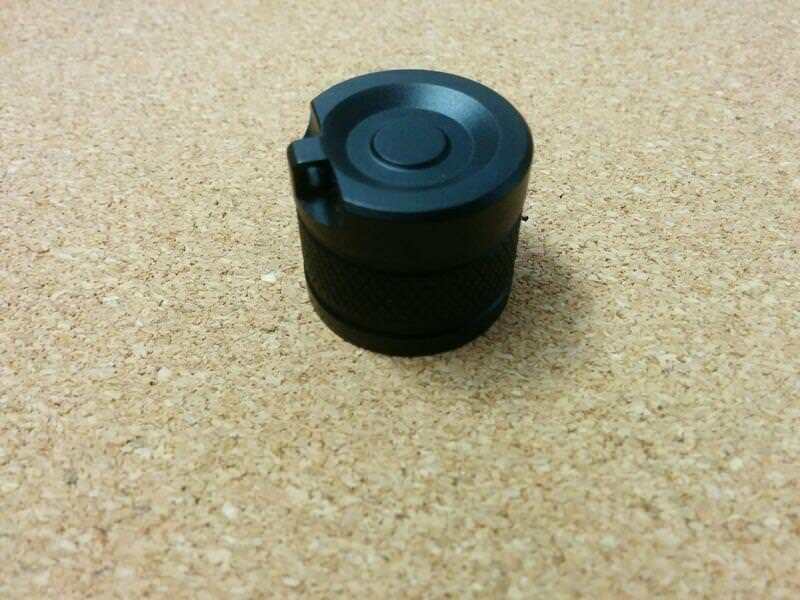 And on the lens, as the SP32A has AR coated glass lens. Well and on the “bezel”, as the SP32A doesn’t have the “HOT” symbol ( despite it gets hotter than the SP32 ). 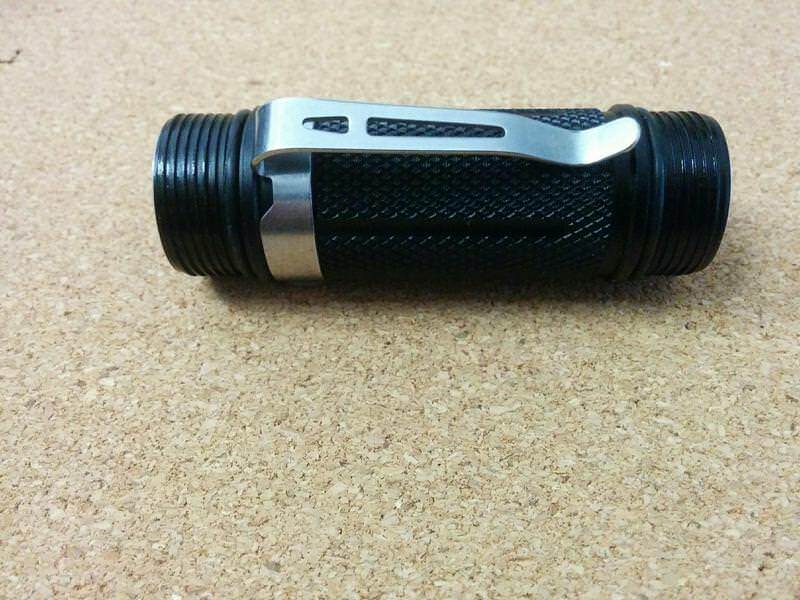 It is a nice looking flashlight; it feels nice to the touch, even if the anodization is not so “smooth” as their smaller lights (SF14, or SP10A/B). 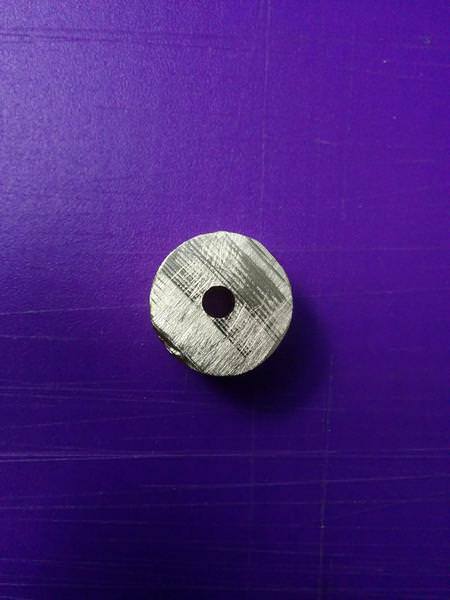 It is well machined with no visible imperfections. 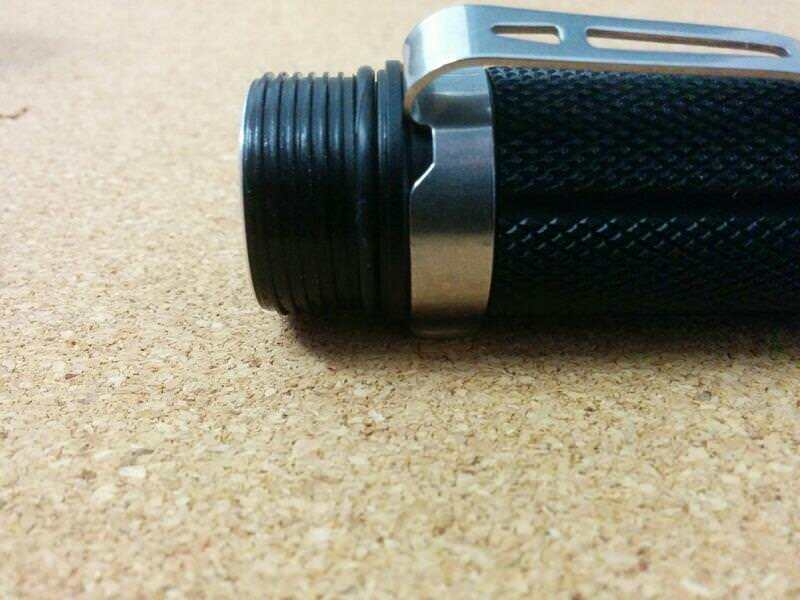 The knurling is nicely done as well. 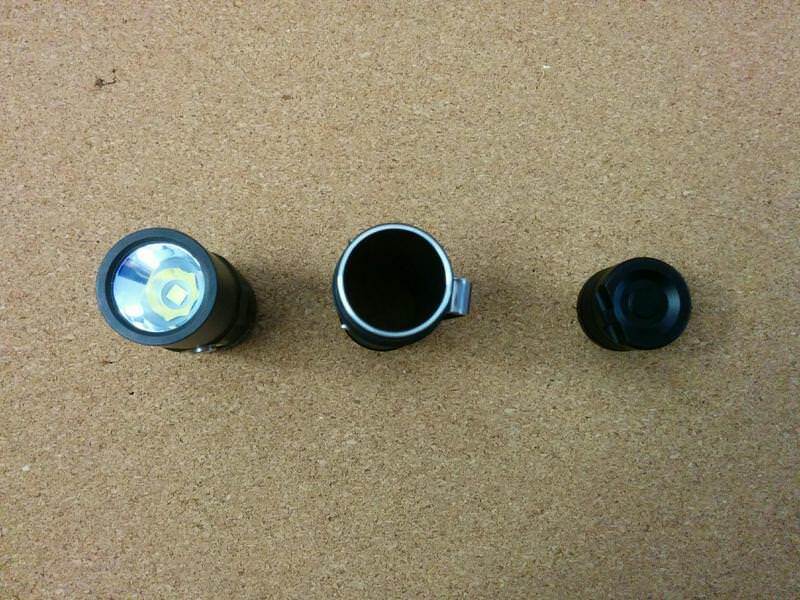 The flashlight has 3 parts: Head, Battery Tube and Tailcap. 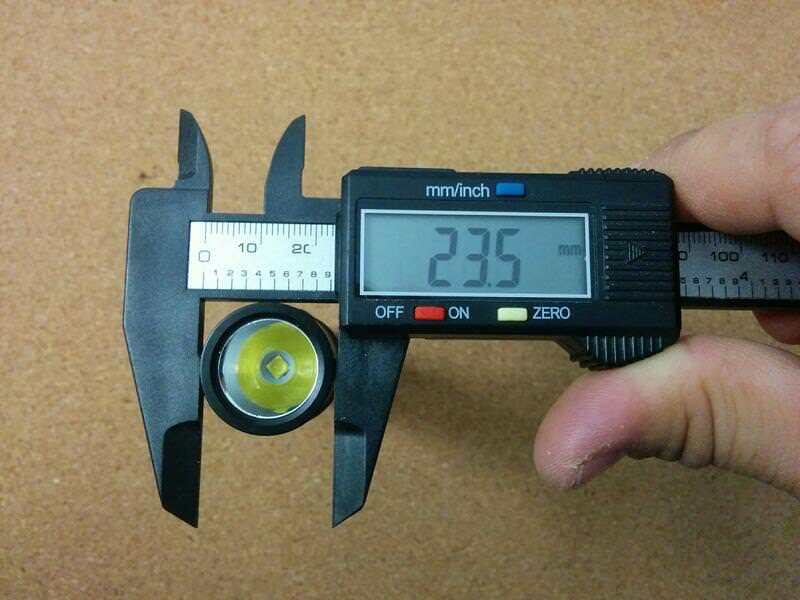 Somehow my measurements are a bit different from those on the manual, but I admit my calliper may have caused this. 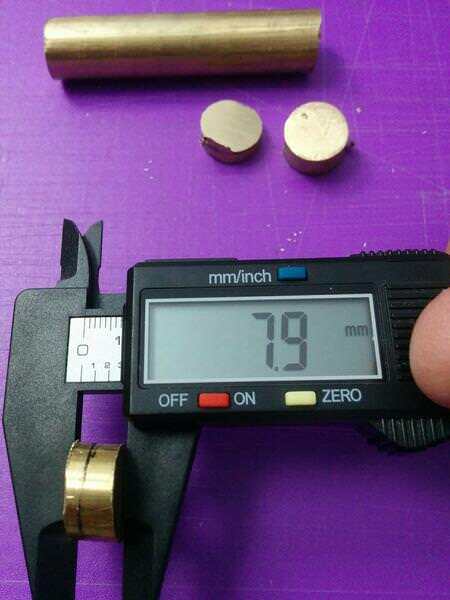 Just for reference, from manufacturer: 122.7mm (length) x 22.6mm (diameter) x 23.6mm (head). 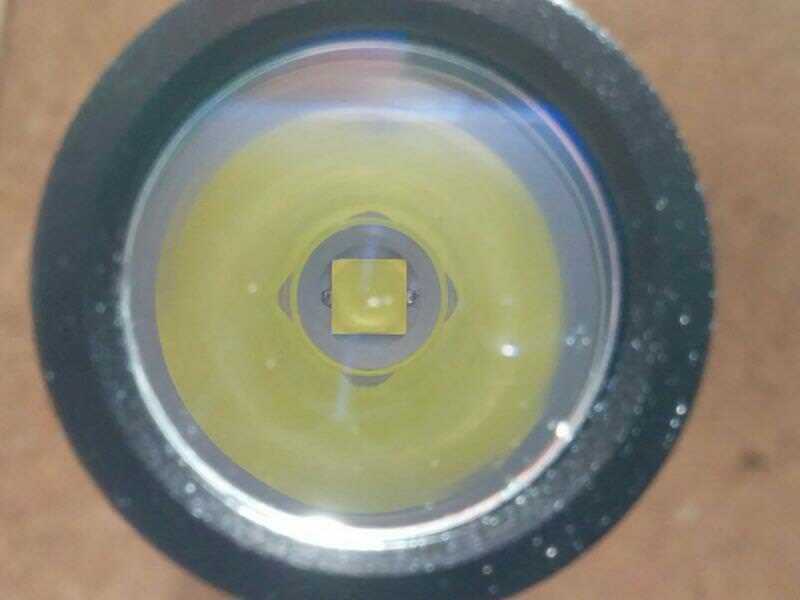 The head is composed by the bezel, an AR coated lens, an o-ring that fits the edge of the reflector (SMO) under the lens, a LED gasket to sit the reflector, the XPL-L2 V6 LED, the driver and a retaining ring. 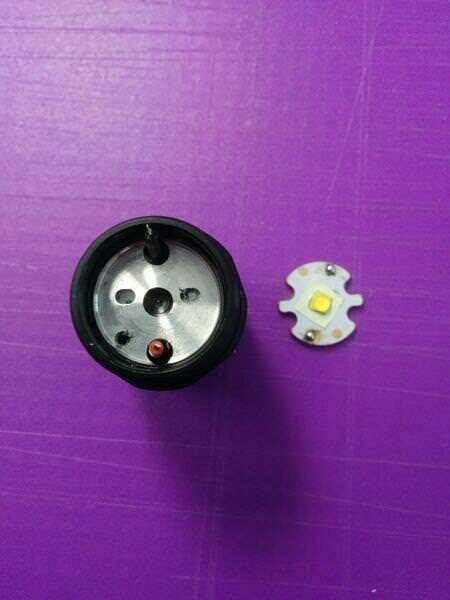 Unlike the SP32, the SP32A let us access to the LED easily as it is not glued. Nice one! 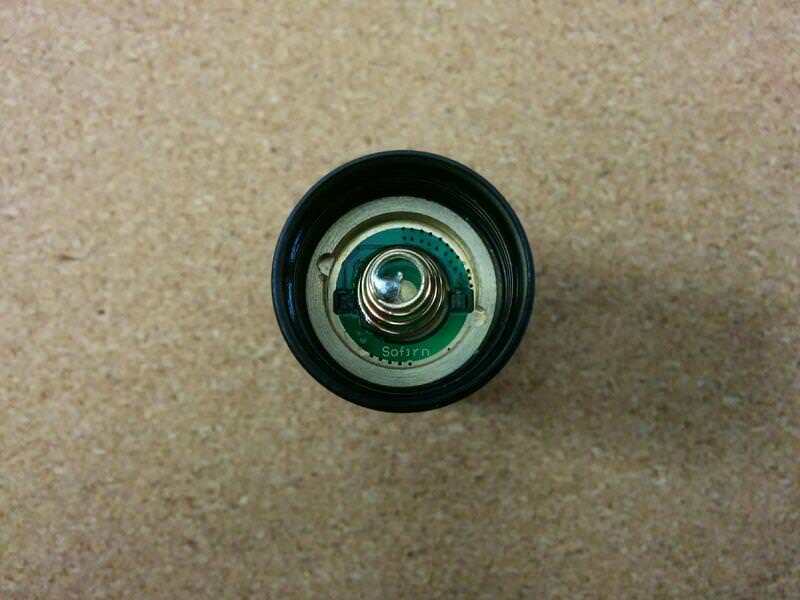 The button of the switch protrudes a bit what is helpful to find it when rotating the flashlight! This is a different feature, if compared with the SP32, which button stays lower , making it harder to find. 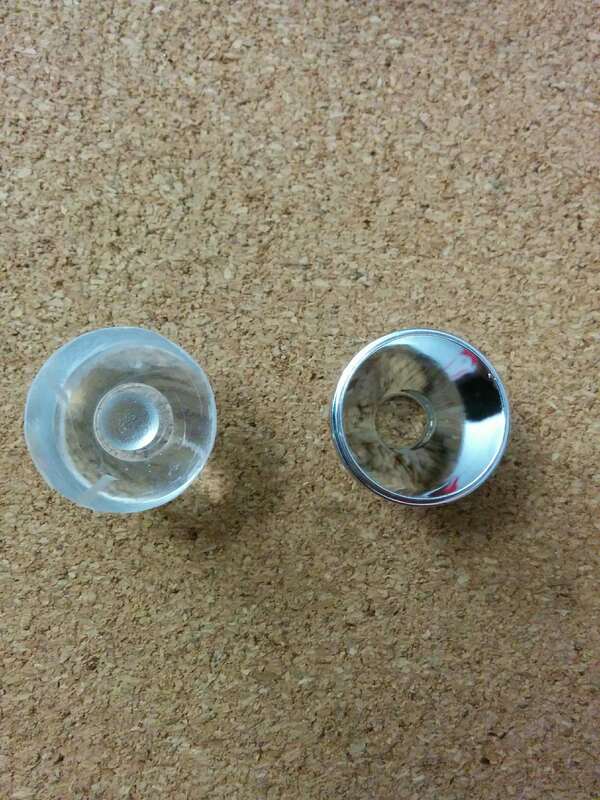 As mentioned, it is AR coated “toughned glass. Nice and smooth (SMO). 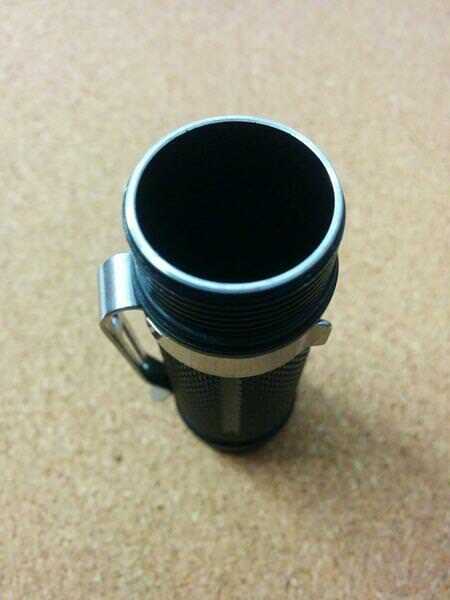 The upper edge of the reflector holds the thin o-ring, under the glass lens. Perfectly centred, and clean! 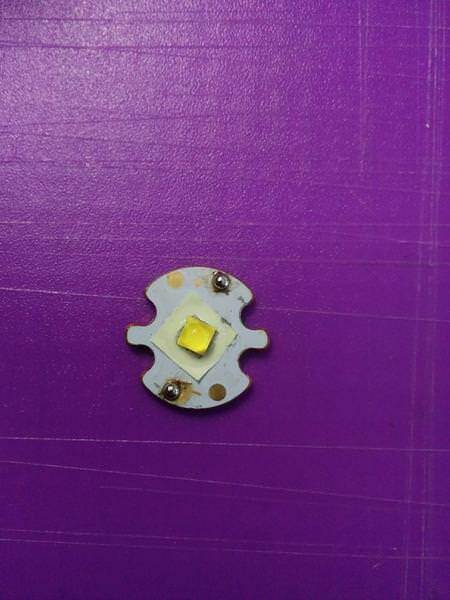 Surrounded by a white gasket, to sit the reflector and “protect” the LED. 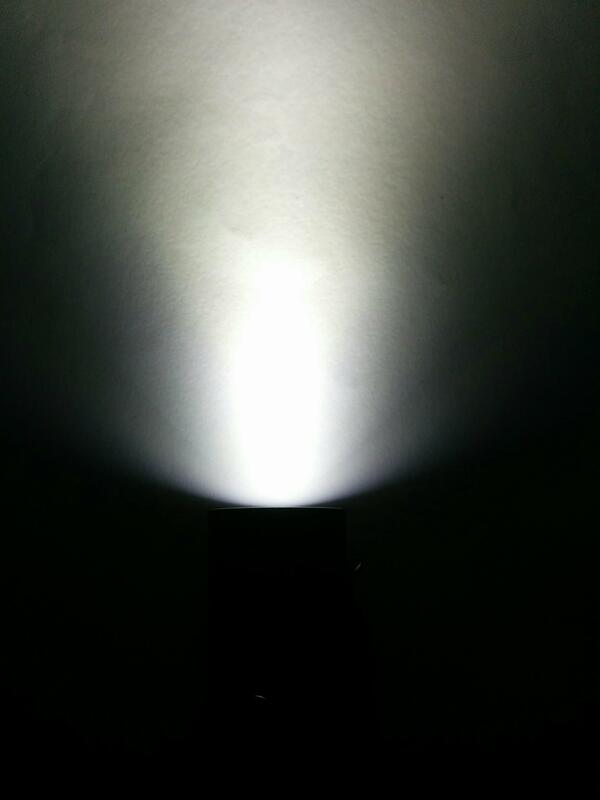 This is how the LED looks like on Moonlight mode, in a closer look. As you can see, it has lots of blueish/purpleish things, that I guess will confer it a bit of green that the beam has… Maybe just a guess, though!? 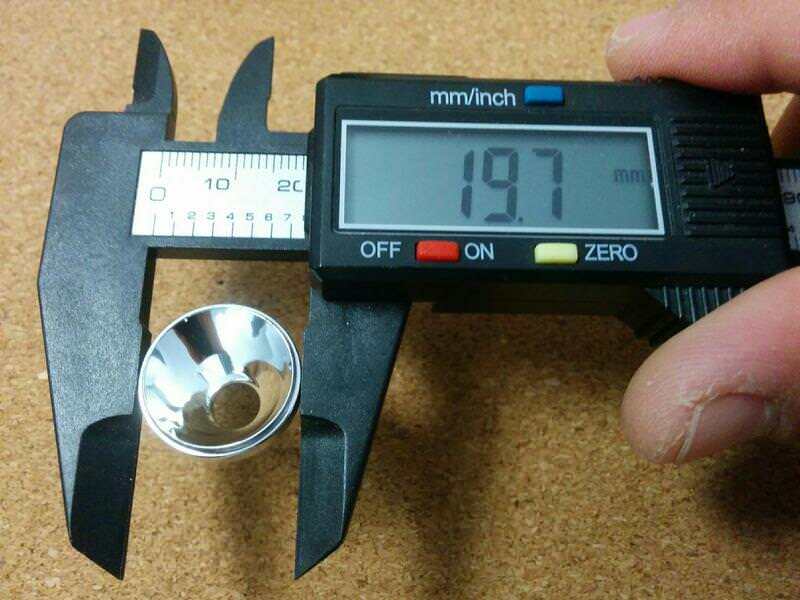 It seems to be a DTP MCPCB, maybe 1.6mm, made of copper. 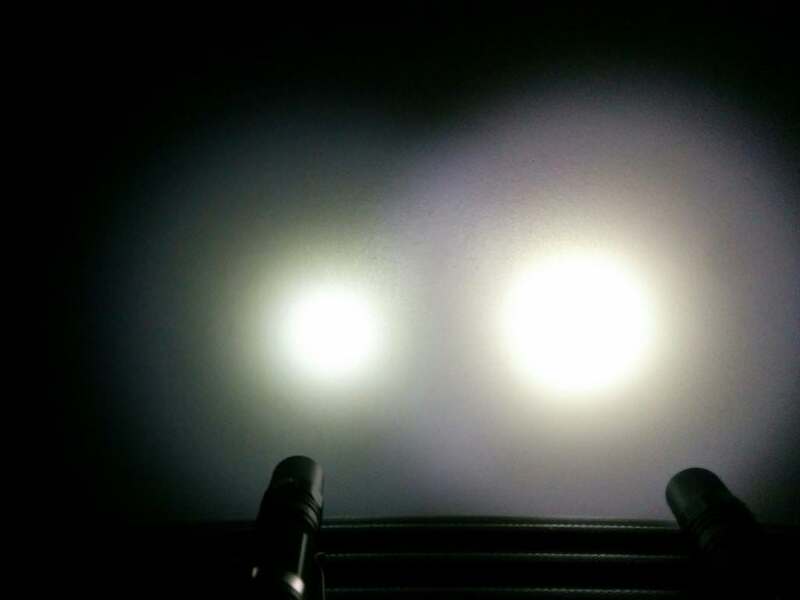 Makes sense as it needs to sustain more than 1500 lumens on Turbo. 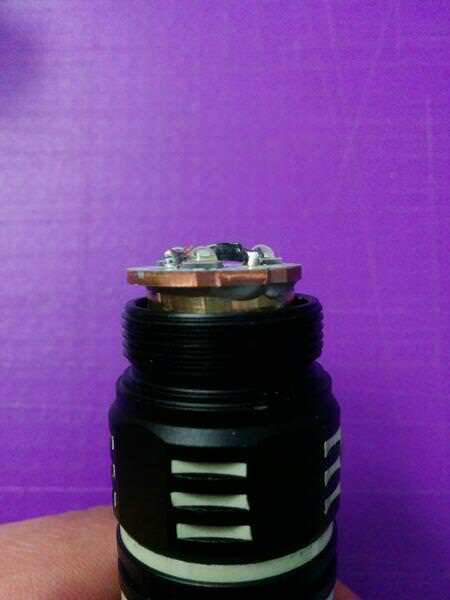 There is a good amount of gray thermal paste under the plate, and the wires are thick. 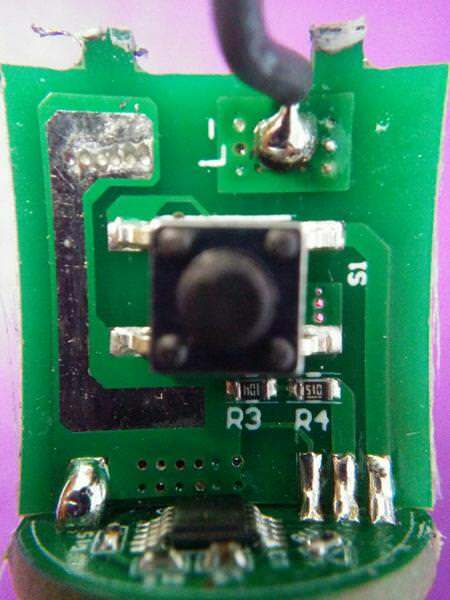 The MCPCB is secured by a black metal screw, and its shape would allow different soldering points. 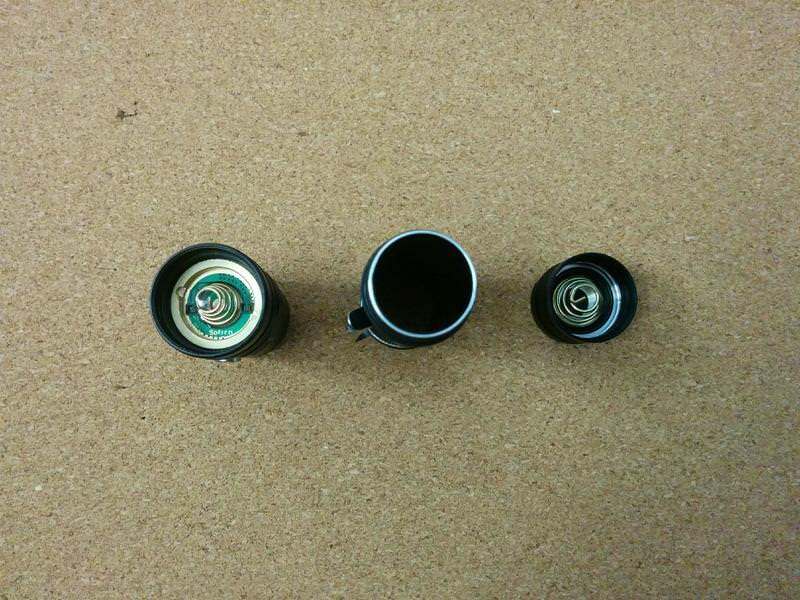 The battery tube came slightly lubricated. 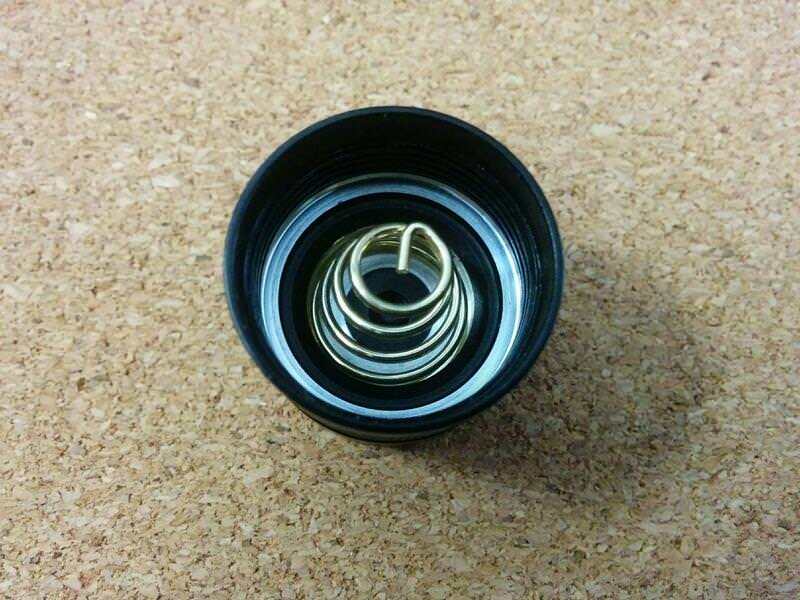 It has 2 o-rings, one in each extremity. 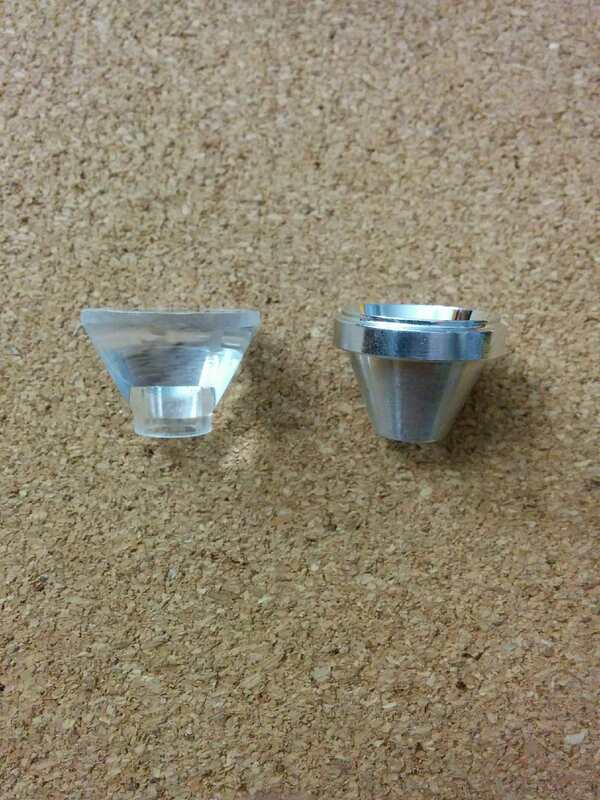 The edges are not anodized. 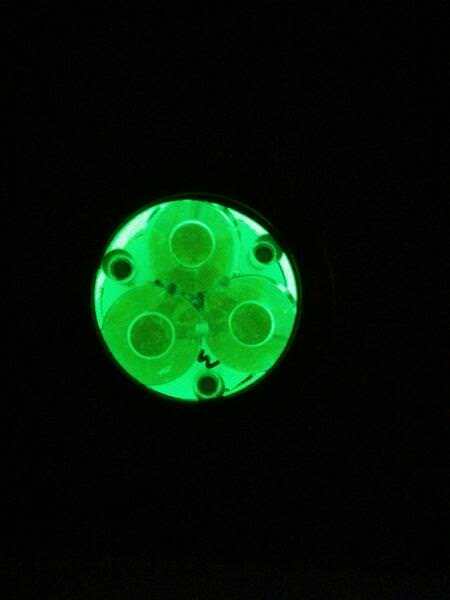 It allows to switch OFF the light if a little unscrew is done, on the tail or on the head. 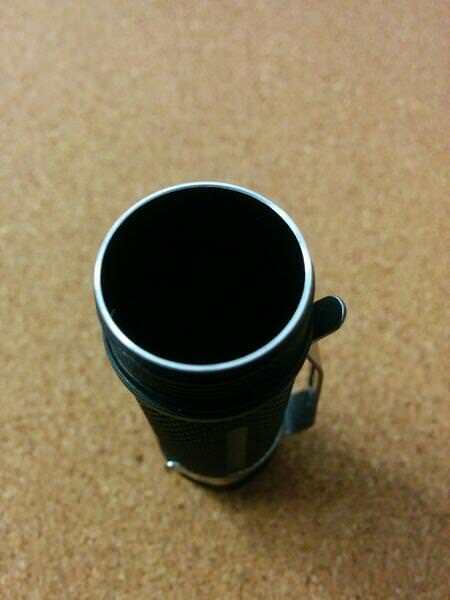 Unlike the SP32, the battery tube of the SP32A is reversible what allows to use it with the pocket clip towards the head and towards the tail. 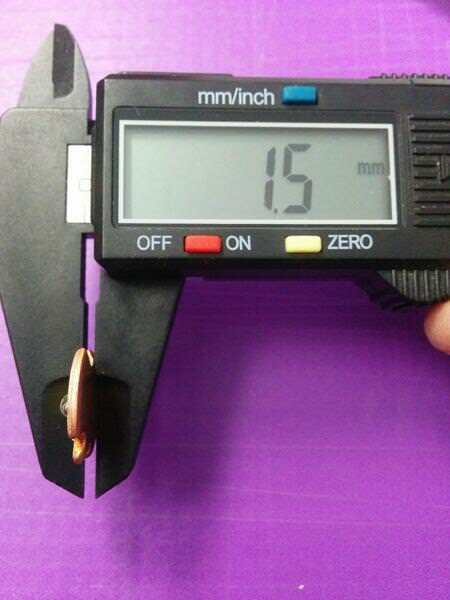 The tail is also equal to the one of the SP32. It has a lanyard whole outside. Note that the base isn’t covered with metal. 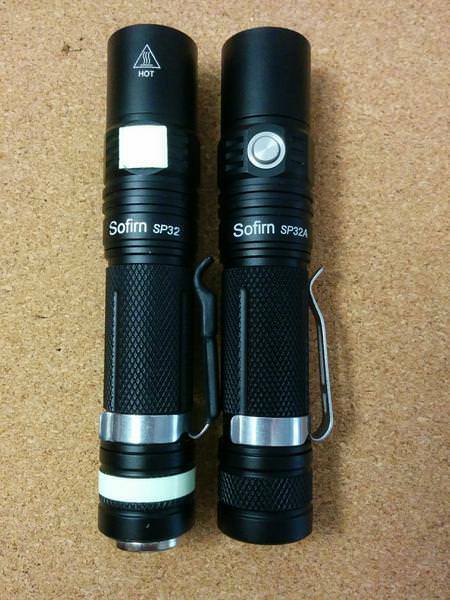 The Sofirn SP32A takes protected and unprotected 18650 batteries. 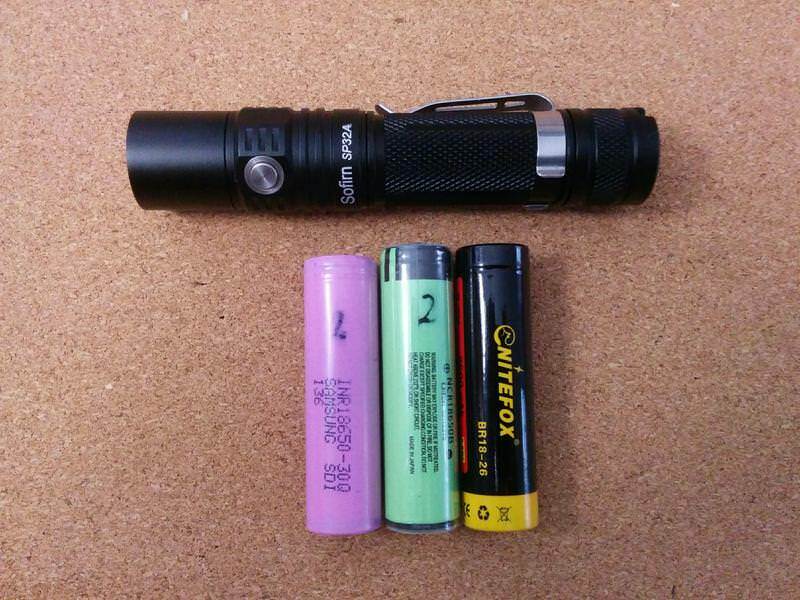 Just for reference, I tested the flashlight to fit 3 batteries, 2 protected and 1 unprotected. 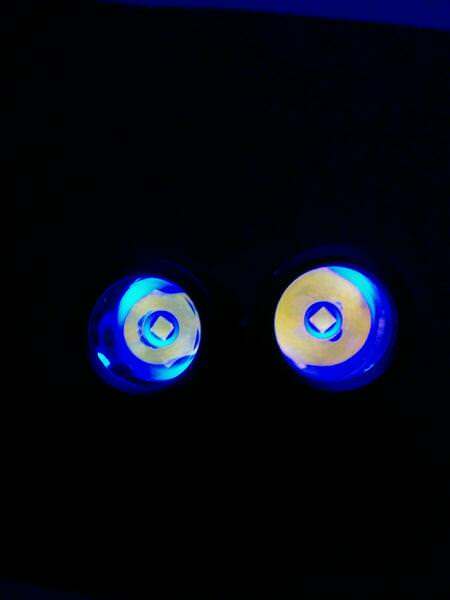 This means that it is better to use an unprotected high drain cell to get the advertised 1550 lumens that Turbo produces. I currently carry it with a Sony VTC6. Just a small comparison between the SP32A and the SP32 (already “modded” in the outside :D). 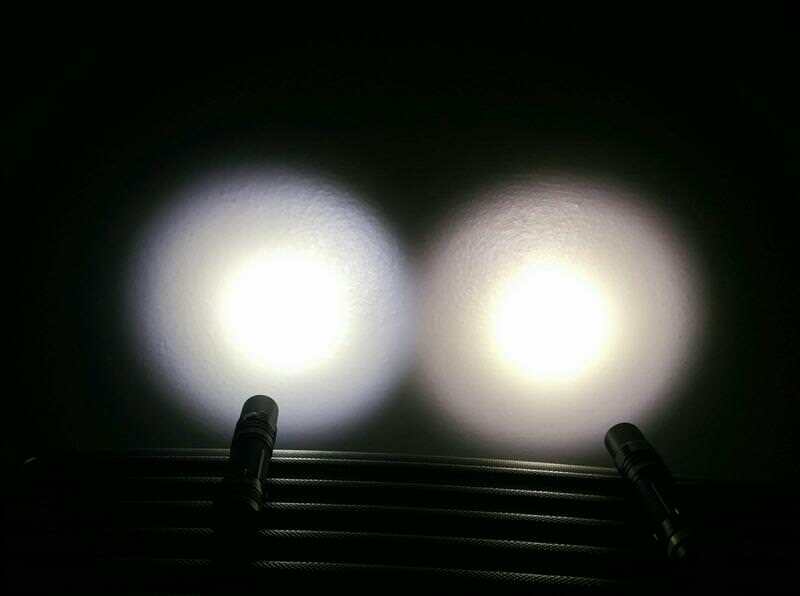 Please note that despite that both flashlights use the same type of LED, the SP32A has more of a Cool White look that can be seen not only on the beam, but also under the UV light. 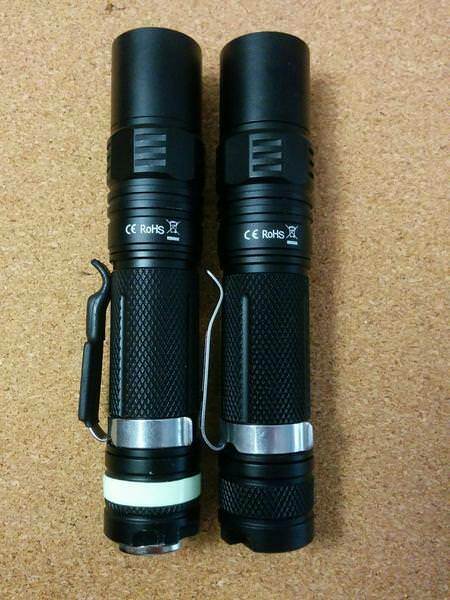 The more “orange” (right) is the SP32 while the “yellowish”(left) is the SP32A. 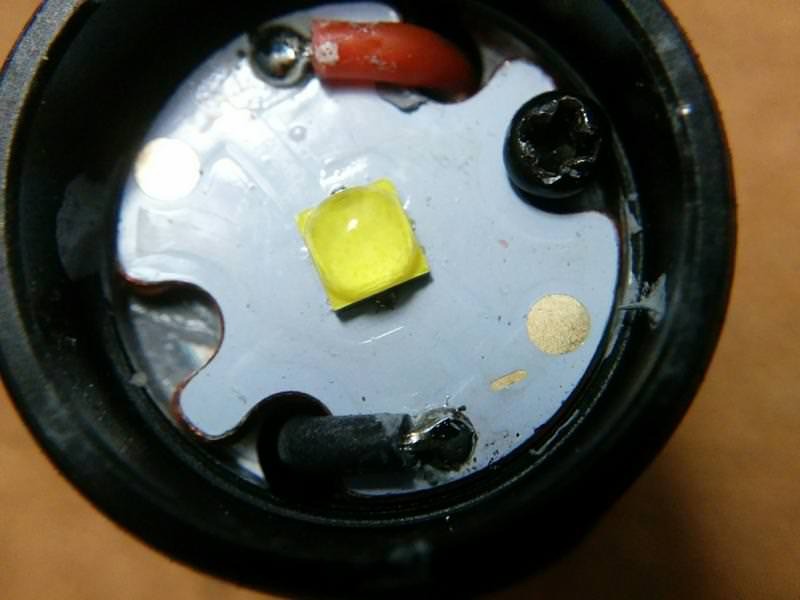 The first time I noticed these differences was in my Convoy lights, in which the NW and WW had a more “orangish” look under the UV and the CW has a “yellowish” look. 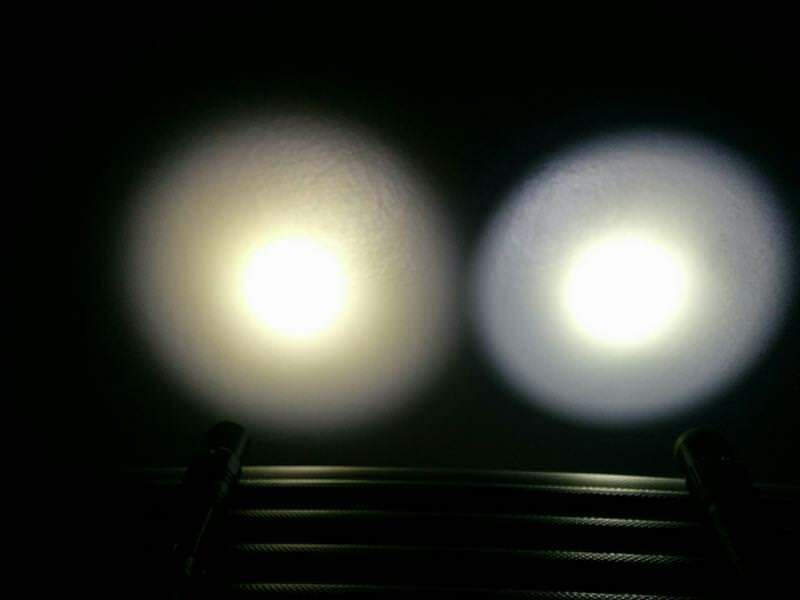 So, despite using identical LEDs, they have different tints! 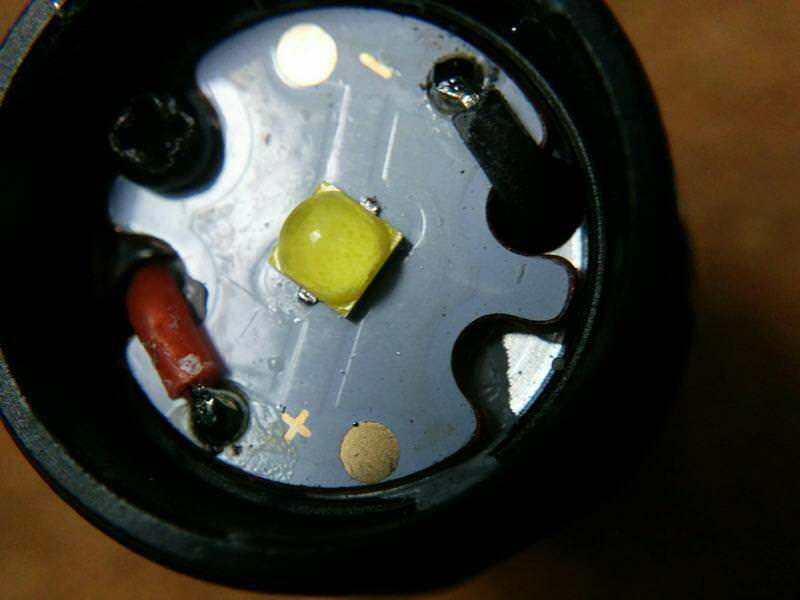 Flashlight blinks 3 times when voltage is below 3V. 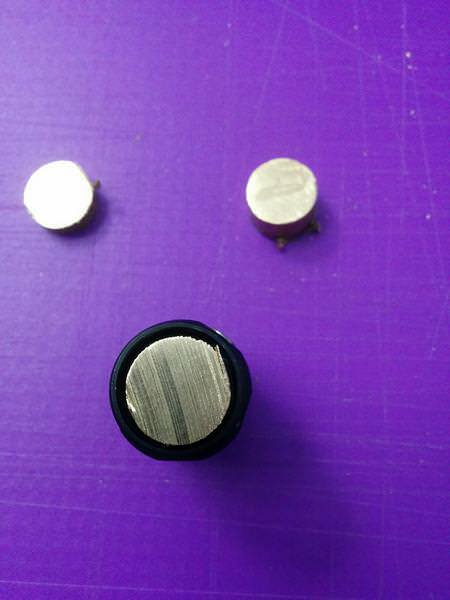 If the voltage is lower than 2.8V, the light blinks during 1 minute and then shuts off. 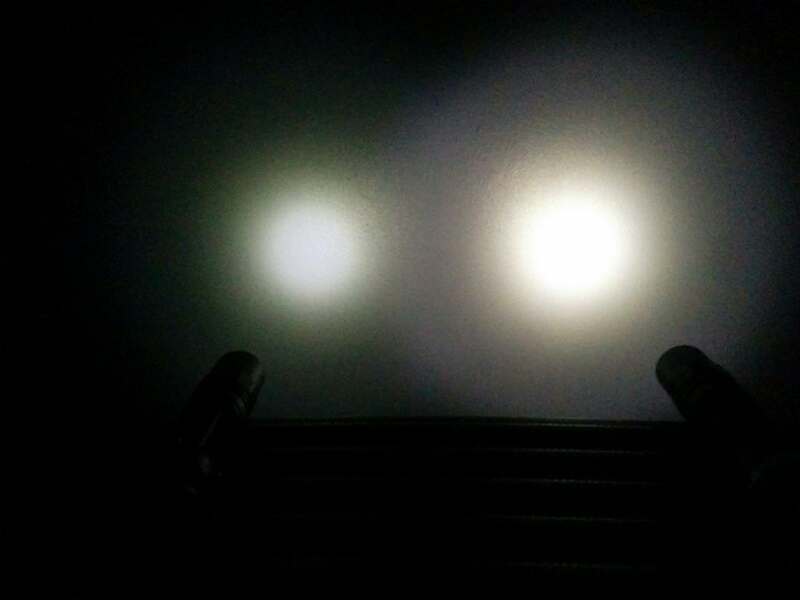 After 2 minutes on Turbo, the light steps down to High Mode. 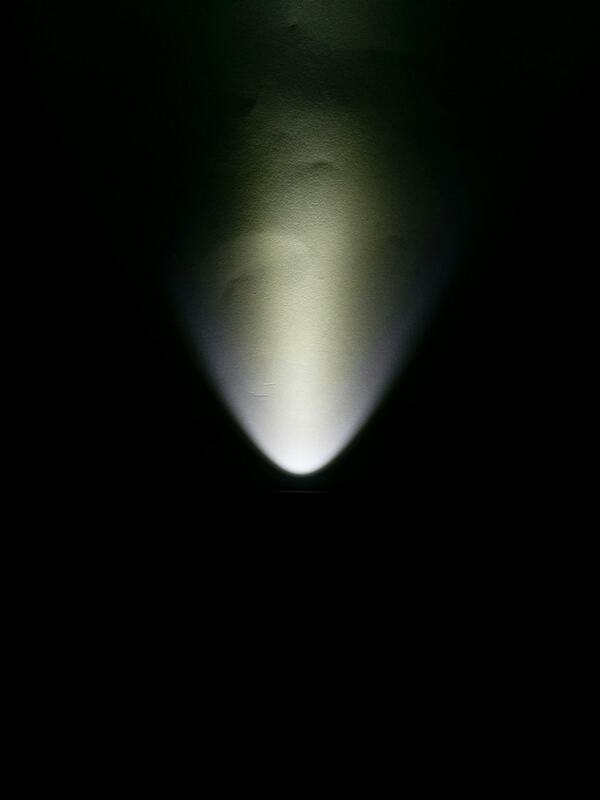 After 3 minutes on High, the light adjusts to Medium. 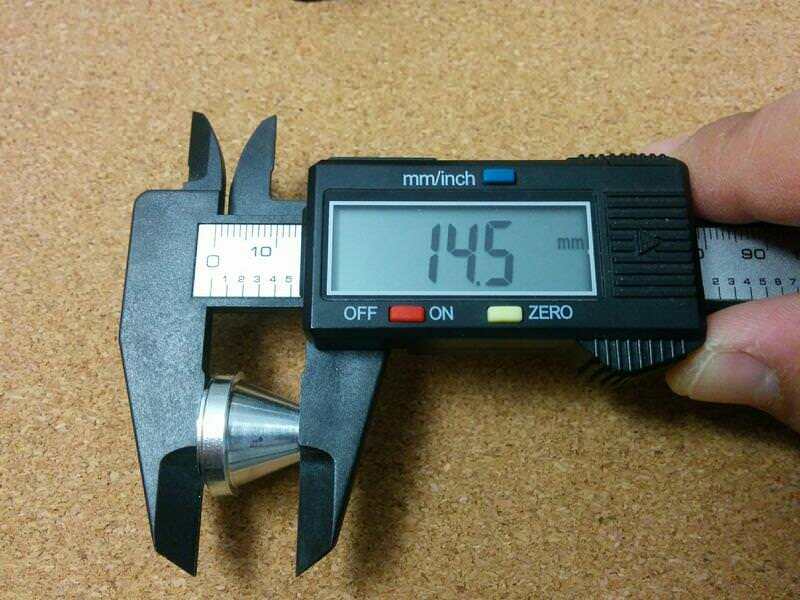 According to manufacturer, High and Turbo can still be used after the stepdown, but they have to be chosen manually (clicking). 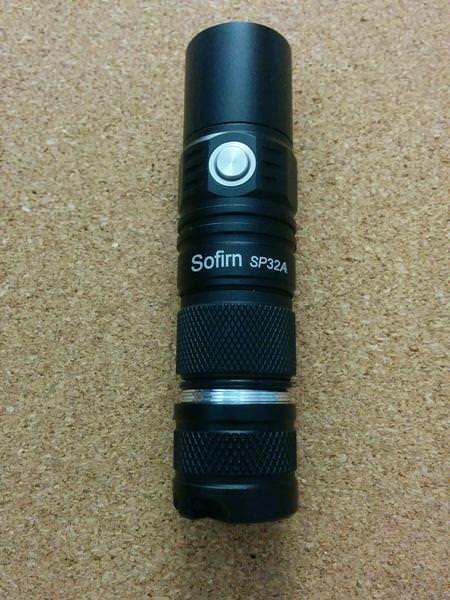 As I mentioned above, the tint from the Sofirn SP32A is somehow different from its older model, SP32. Yeah! I know, so many “ish” here but that’s what my eyes seem to see! 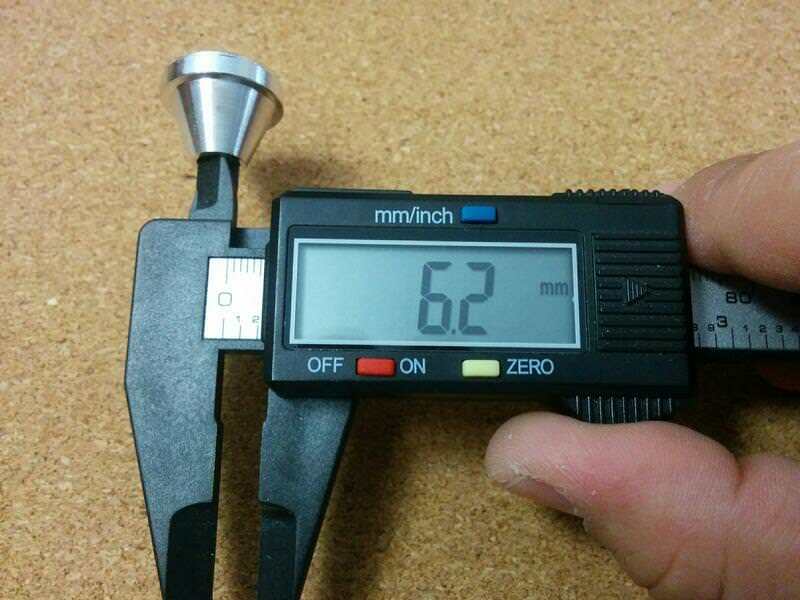 The beam is not uniform, at all! 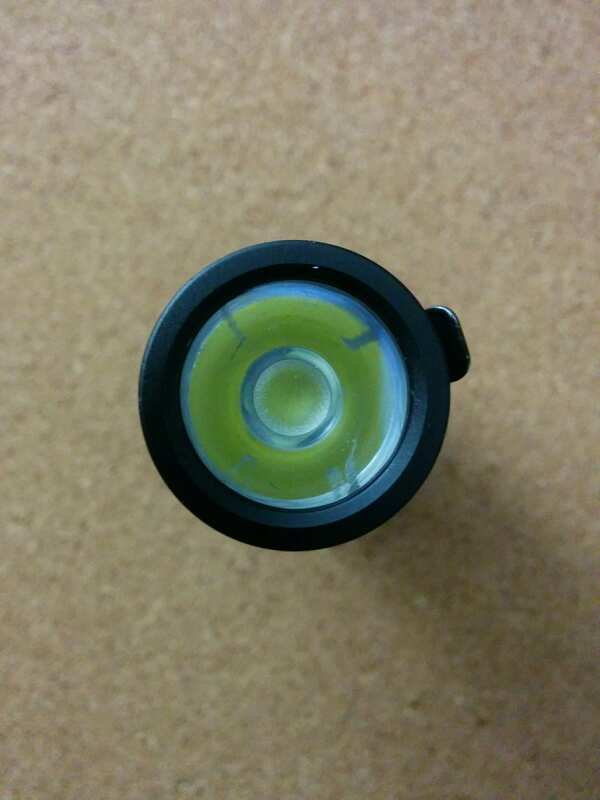 Perhaps one of the major “issues” with this flashlight is the “greenish” look it has, contrary to the more white / rosy beam the SP32 has. 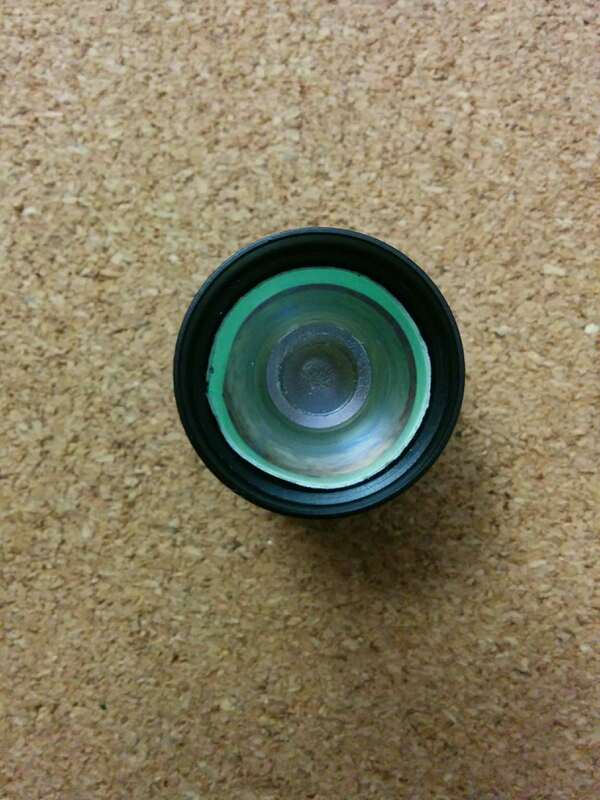 I tried the SP32A without lens and with a clear lens (not AR coated) but the green remains there. 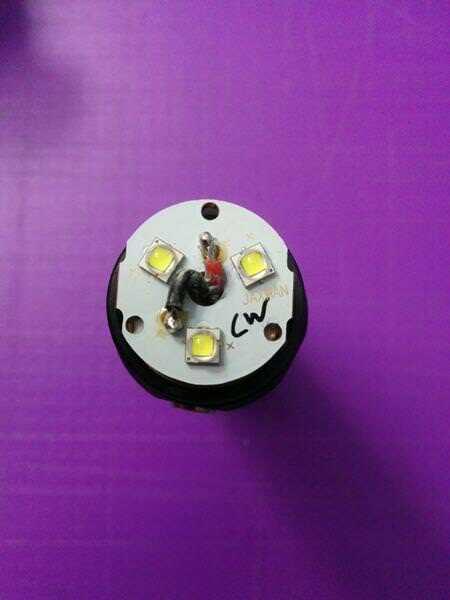 I guess it is the LED itself that maybe is more close to the 5700K than the 5350K. For outside environment is nice, no problem at all (despite I can feel the differences when pointing the light at the grass), but in a white wall…not so good. 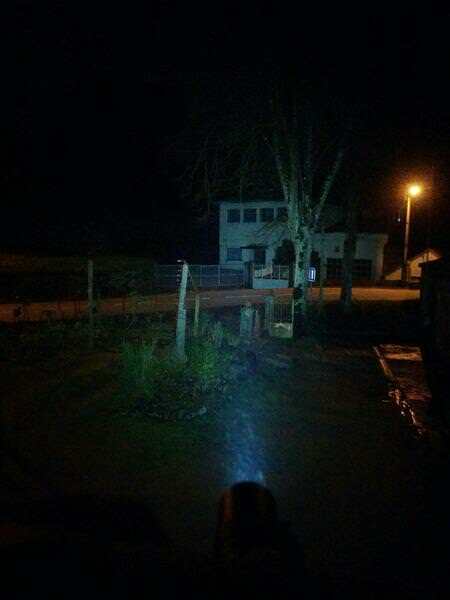 The following beamshots cannot show completely how it looks on the reality, but you can have a slight perception of how it may look! Memory: except for Strobe and Turbo, all the modes/levels have memory, so the light will turn ON in the last used mode/level. 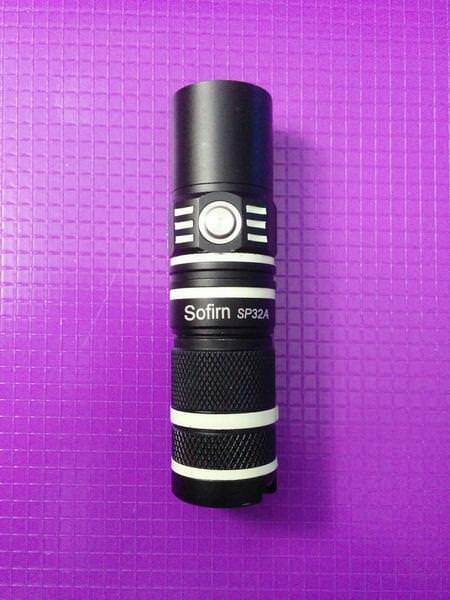 The Sofirn SP32A has Electronic lockout, 2 Special Modes and 2 mode groups. || 1) Ramping > Regular = 9 seconds. (manufacturer = 3 seconds… ) . 3 blinks > ON in High. || 2) Regular > Ramping = 3 seconds. 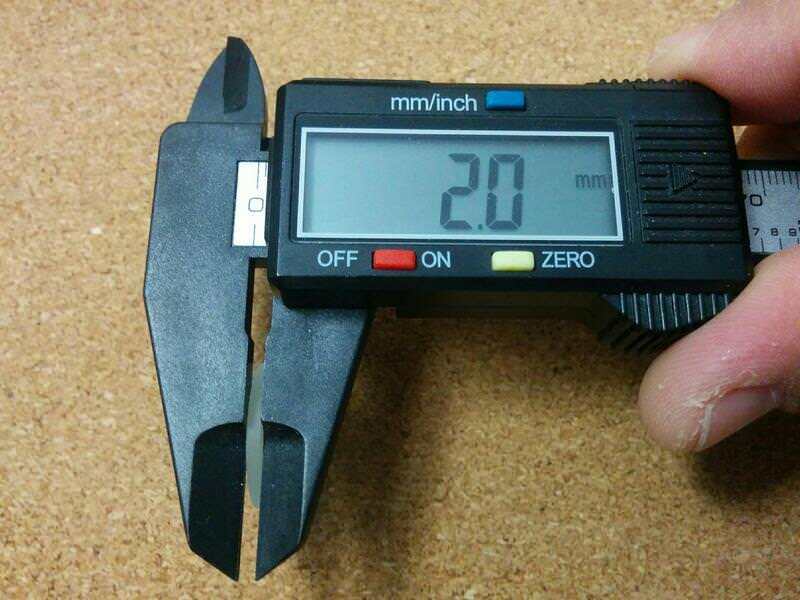 (manufacturer = 3 seconds ) . 3 blinks > ON in the Highest output level from Ramping. *From OFF, 4 clicks to activate and deactivate lockout and *. 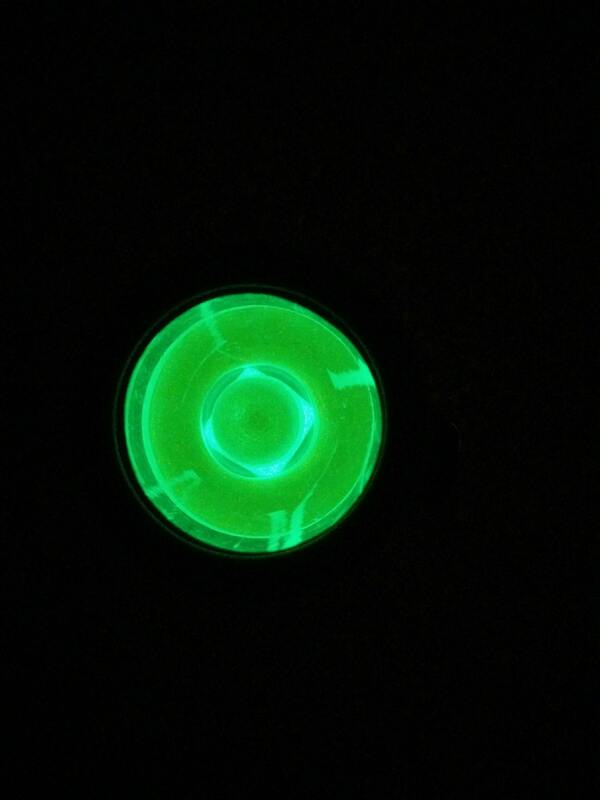 The light blinks 2 times to inform that it is locked. Whenever the button is pressed during lockout, the light blinks 2 times. When the lockout is deactivated, the light turns ON in the last used mode or level (if on Ramping). 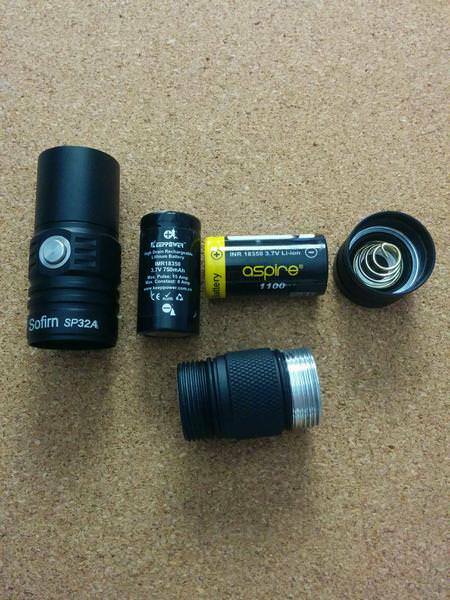 WARNING: taking the battery out of the flashlight will deactivate the electronic lockout. B) Special Modes (Can be used both with the “Regular” and “Ramping” modes). 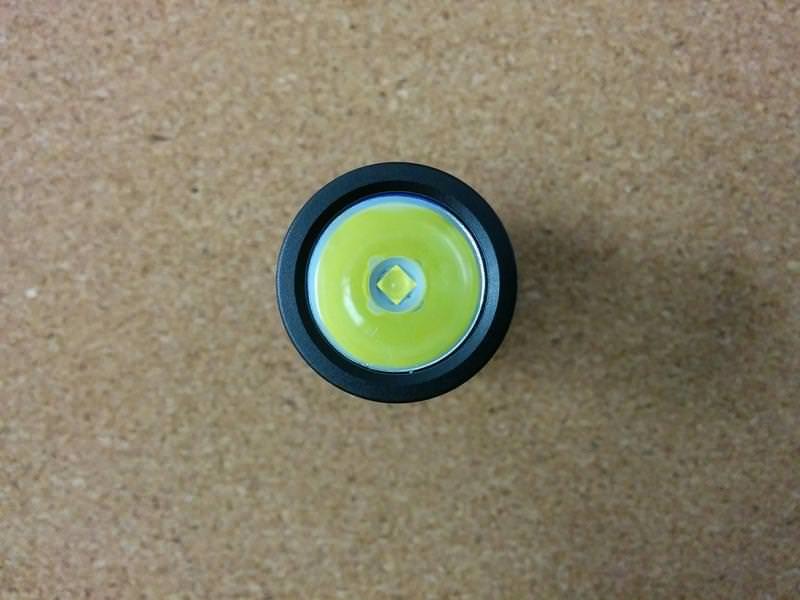 WARNING: the special modes cannot be used if the flashlight is locked out electronically. 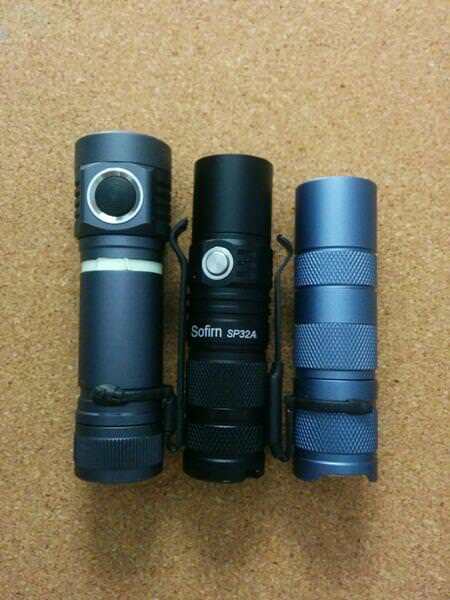 Well, the first 3 modes are very well balanced and spaced, and are really nice for indoor use. From Medium to High there is a huge jump, making it ideal for outside environment where more light is needed. From High to Turbo the difference can be felt in terms of luminosity, at least with a “not empty” battery. I didn’t try it yet with more depleted batteries so I can’t be sure how it performs. 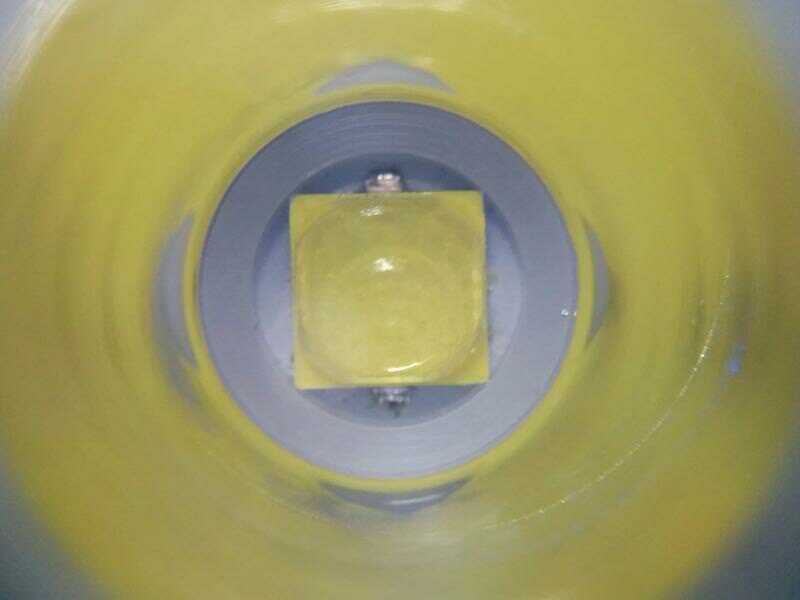 Light blinks 2 times when reaching the top and the bottom levels. It takes +/- 7 seconds to got from the highest to the lowest levels and vice-versa. 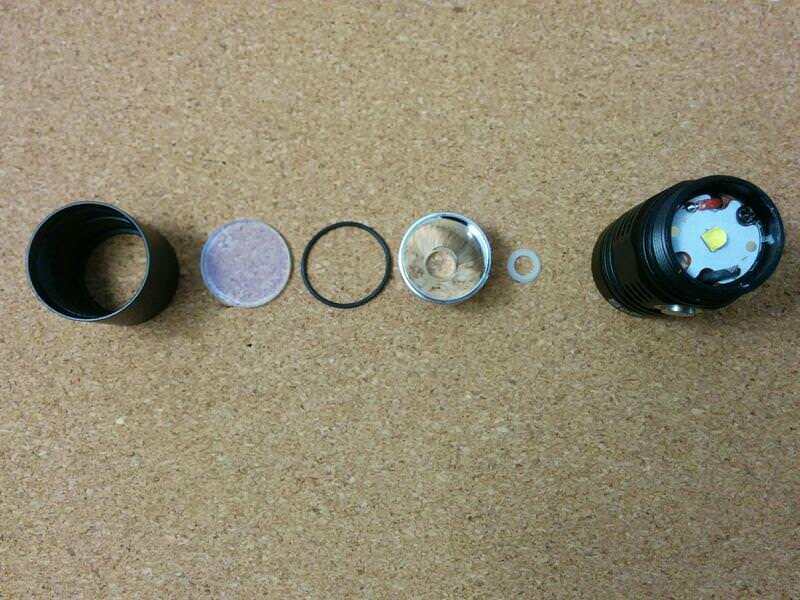 (As example, the Emisar D4 takes +/- 3.5 seconds to reach the bottom/top). Ramping mode starts in a very nice Moonlight mode, lower than the same level on the “Regular” modes. 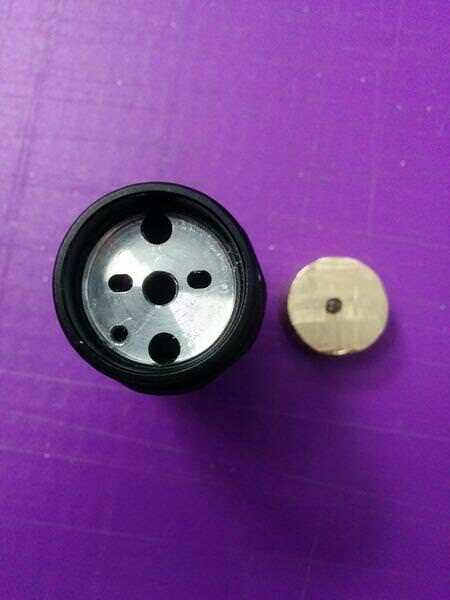 The highest output of the ramping is higher than the highest output of the “regular” modes. 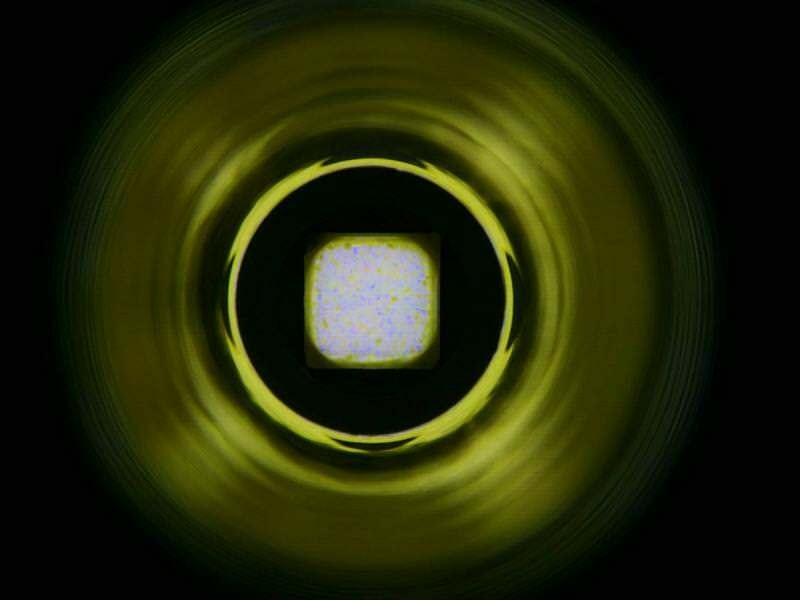 a) When ramping down, the light dims steadily until about 40% luminosity, then it stabilizes even when pressing the button, and then decreases again and on the last +/- 5 to10%, it drops abruptly. b) When ramping up, the first 5% increases abruptly, it doesn’t seem to have many “steps”, so it has a big leap, and then it stabilizes (maybe at the same 40%…) and the increases rapidly again reaching the max level. 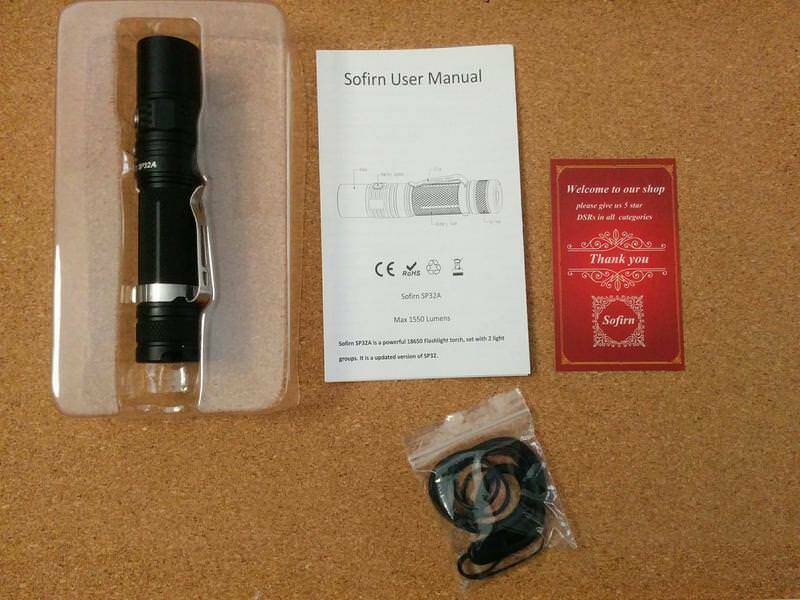 1 – I like this flashlight, it is well built and the implementation of 2 group modes shows how Sofirn wants to expand and grow in this flashaholic world. 2 – Despite it has a Ramping mode, I guess I will prefer the “Regular Modes”, except if I need the Moonlight level. 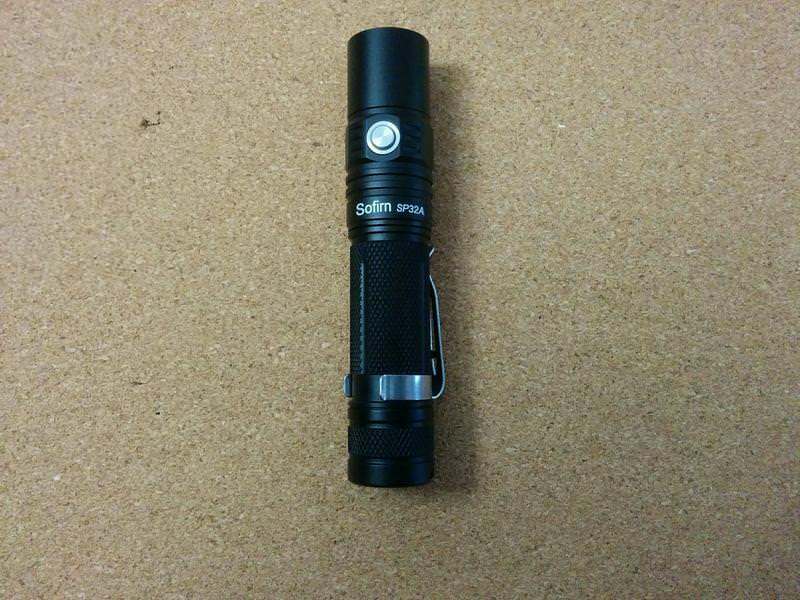 The ramping mode takes a while to go to top or bottom and that is a small “drawback” for me, especially being used to the Emisar D4. 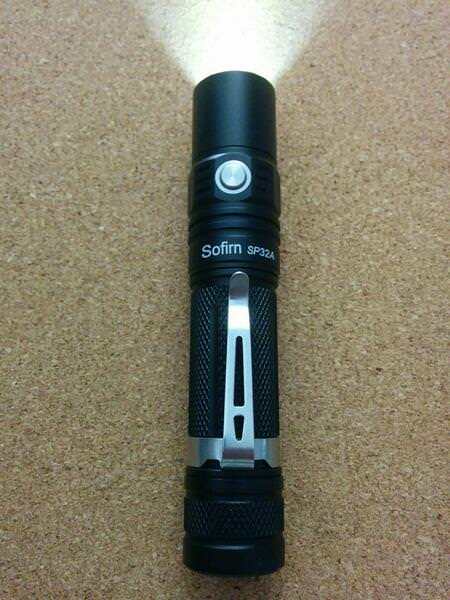 3 – The tint on this flashlight is also not so good on the other 4 or 5 Sofirn flashlights I have! 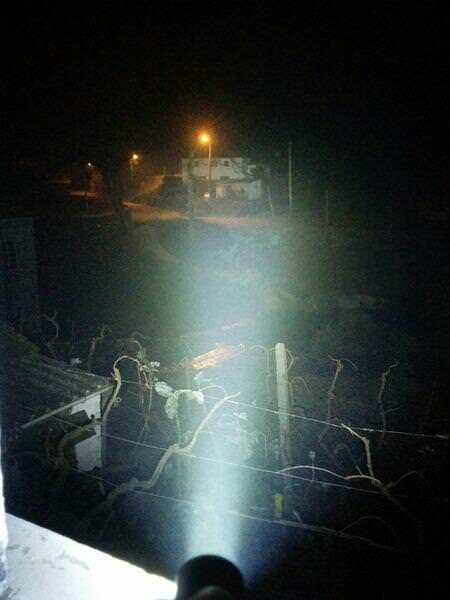 The greenish look is not so pleasant as the more yellowish/rosy/white that the other flashlights have. 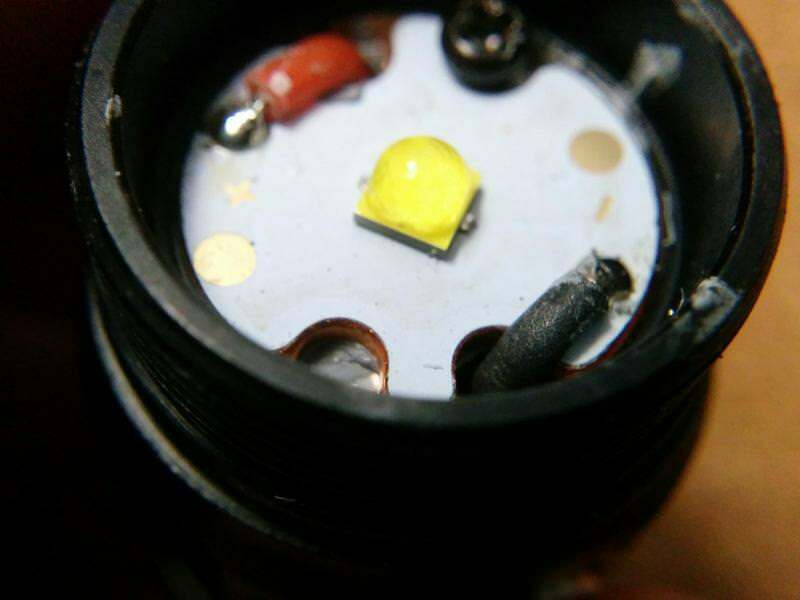 Maybe it was a “bad” batch of LEDs? 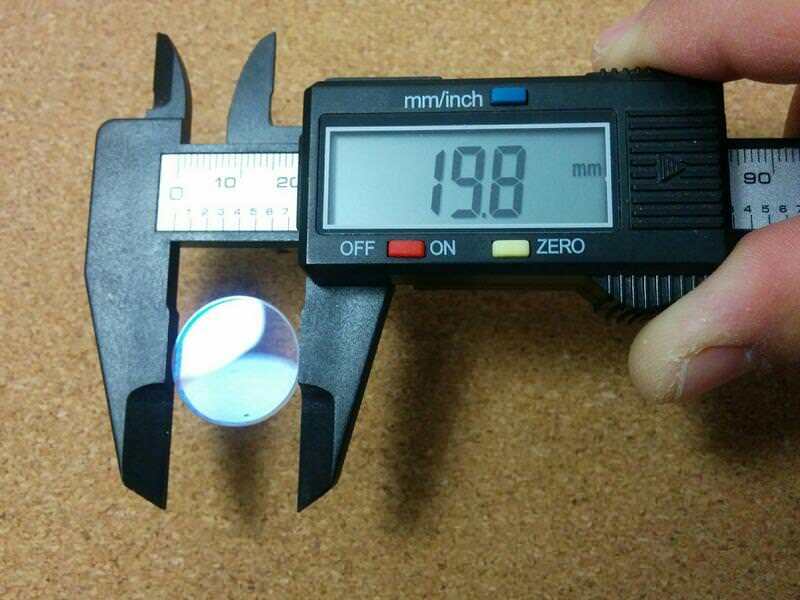 4 – On the same point, having the opportunity to change the LED is a plus, that we didn’t have on the SP32 model. So, for me this is an improvement from this brand. 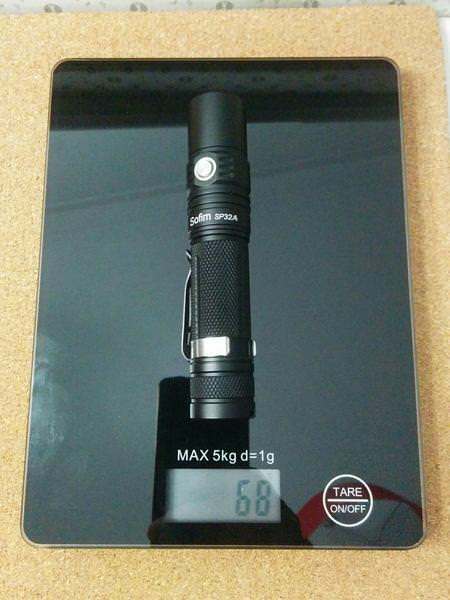 5 – Despite some points I mentioned earlier, this is a very good flashlight and a really great output, that can (and will) be used in outside environment. 6 – The shortcut to Turbo with double click is a plus for me, as well as the strobe being hidden with triple click. Also, having lockout with 4 clicks is a very nice feature! 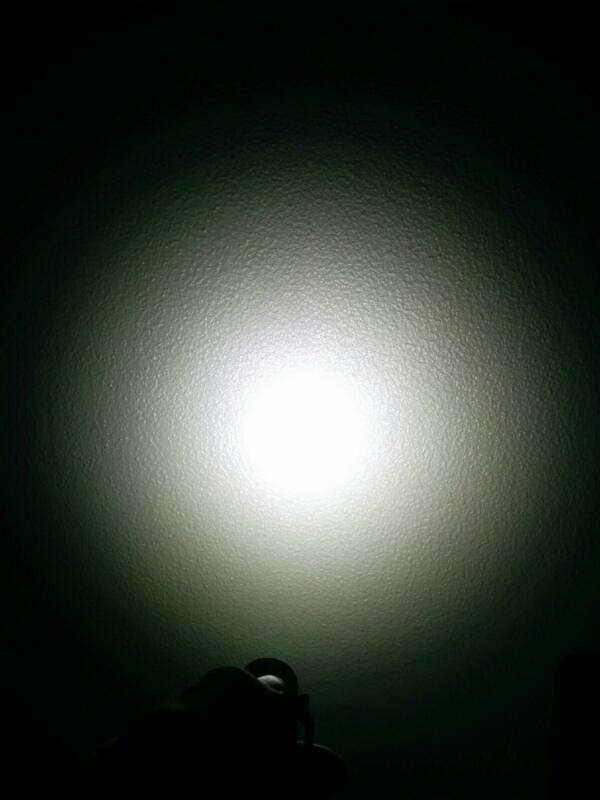 7 – I am not fan of “memory” in the flashlights and this one has it. I will have to learn to live with it, but I would prefer to always start on the Moonlight mode. Or, at least, have a shortcut to access to it, as the SP32 has. 8 – I would implement a lower Moonlight (similar to the one on the Ramping) on the “Regular” modes. 9 – I don’t know if mine has a “bug” while changing groups, but…9 seconds is a bit too much to change from one group to the other… If this is a bug, ok, no problem. If this is standard, Sofirn, please correct this!! 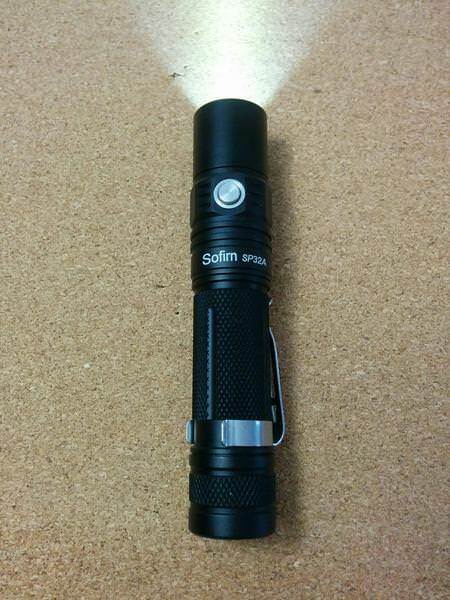 Once again, thanks Sofirn for the nice work on this and for sending the light for review! Thanks for reading and feel free to comment or leave questions! 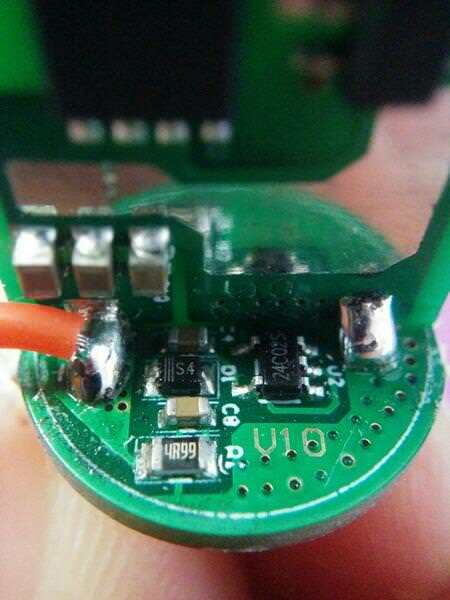 Hum, I confess that due to questions of time I opted not to get to the driver, but I guess this has the same shape as the SP10A/B (with a shelf) so unscrewing the screw on the MCPCB and the retaining ring below the driver, I guess it is be easy to access it. Thanks for the review. 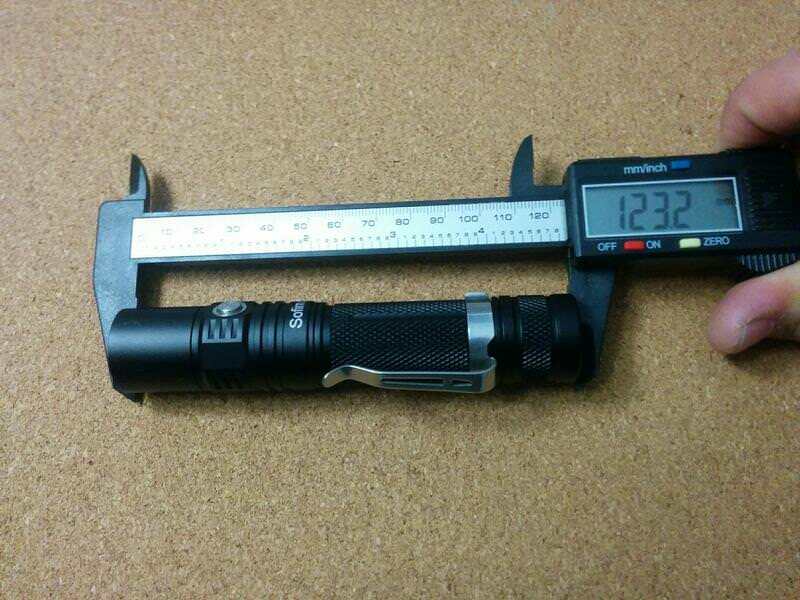 I have one on order from Ali Express, it’s nice to read what I’m waiting for. This Sofirn Company is hitting a lot of hot spots. 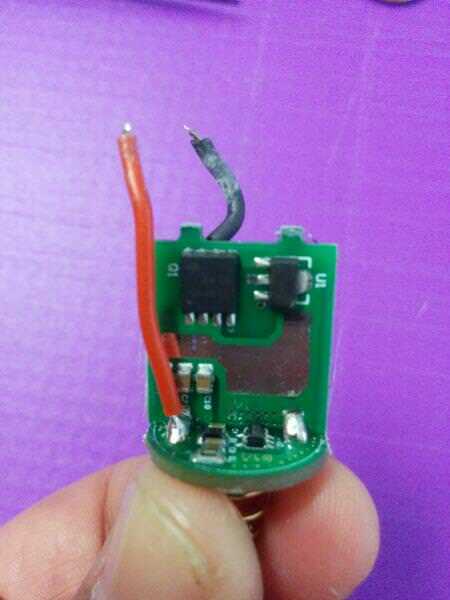 First the MCPCB screw cannot be easily unscrewed, and I guess I would damage the LED to force the screw to get out. 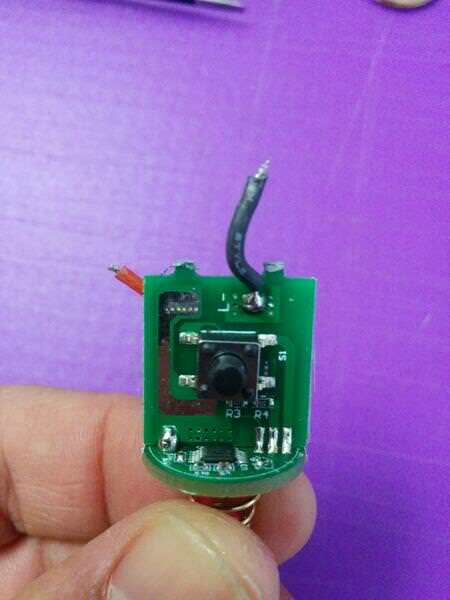 Despite that, I tried to unsolder the wires from the driver to the emitter. 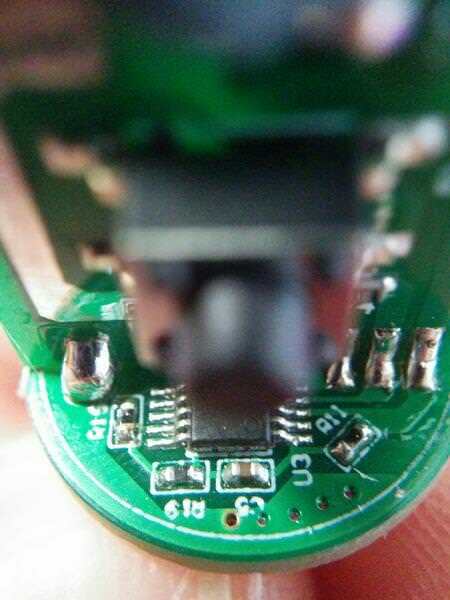 I don’t know if I’m not trying hard enough, or if my soldering iron is not powerful enough, but I’ve been unsuccessful to unsolder it. 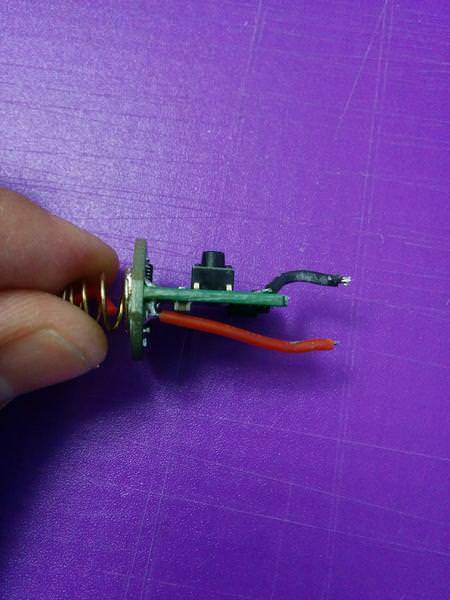 I also noticed that the spring bypass is only on the driver, and does not seem to pass through it, but I couldn’t verify this situation more deeply! Thanks JasH!! 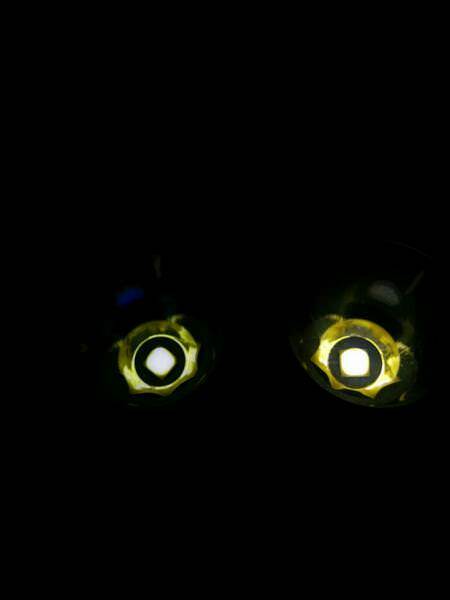 Yup, they are getting better and improving in some aspects lately, and I guess the inputs from their flashlights’ users are an important point! 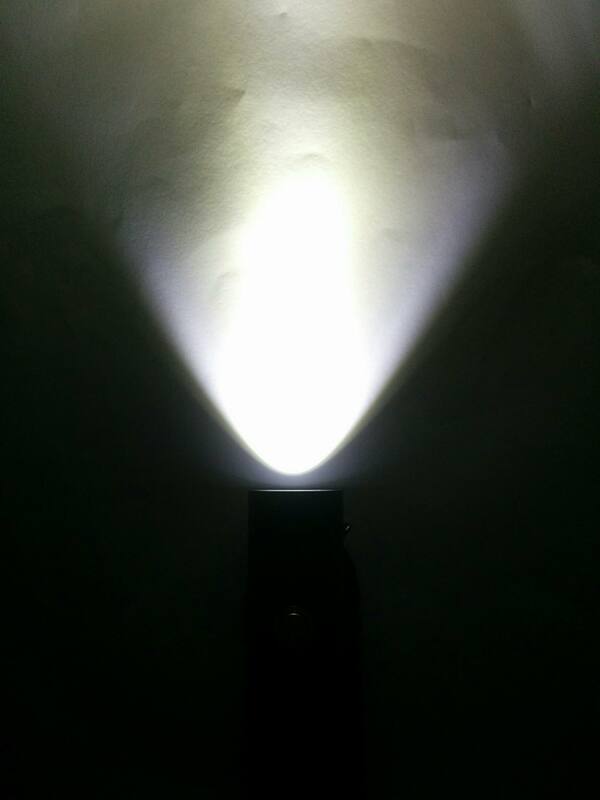 I’ve uploaded a video with a comparison between the SP32A and the Emisar D4 while ramping up and down. There are differences in timing, as can be seen. 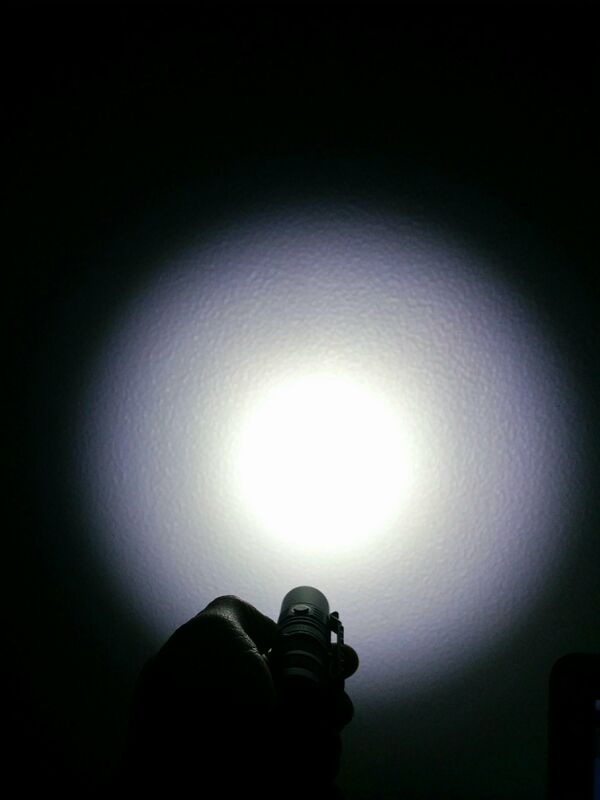 The Emisar D4 was set for 71ºC. Both started to go up and down at the same time! 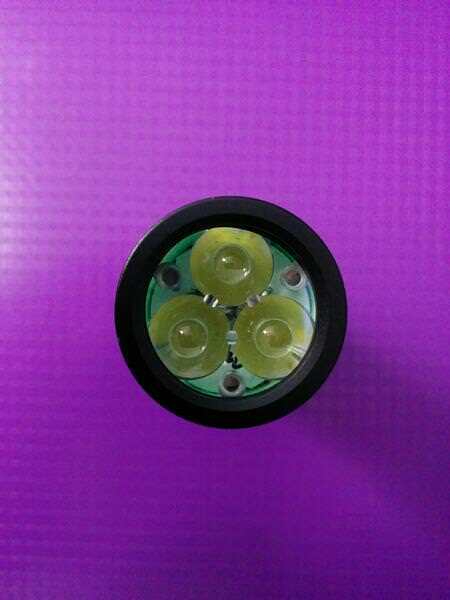 I used the Convoy S2+ short tube, in reversed position (anodized threads with not anodized edge upwards and clear threads with anodized edge downwards). Guess what? It worked! 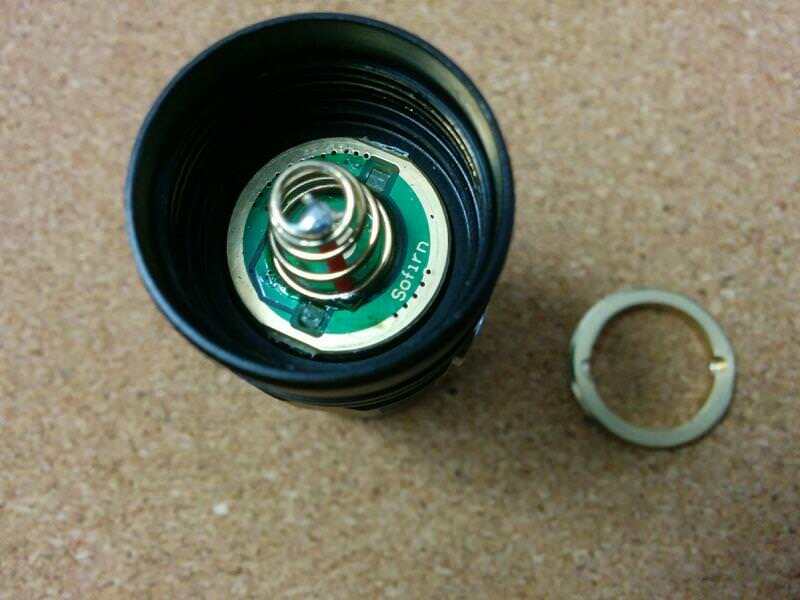 You say “no PWM” but the picture suggests otherwise. 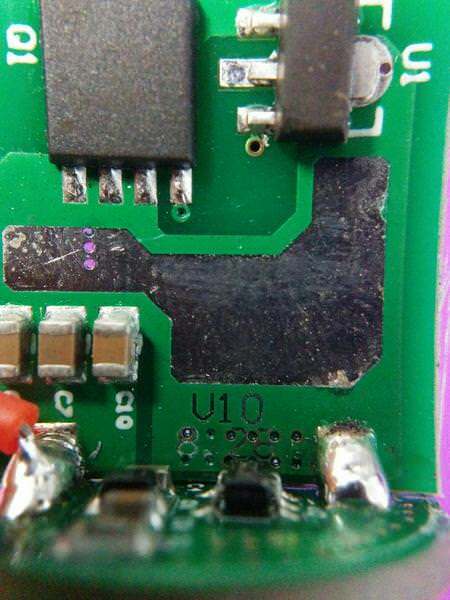 Jerommel, from what I’ve recently “learned”, those traces seem to be from the Constant Current driver. 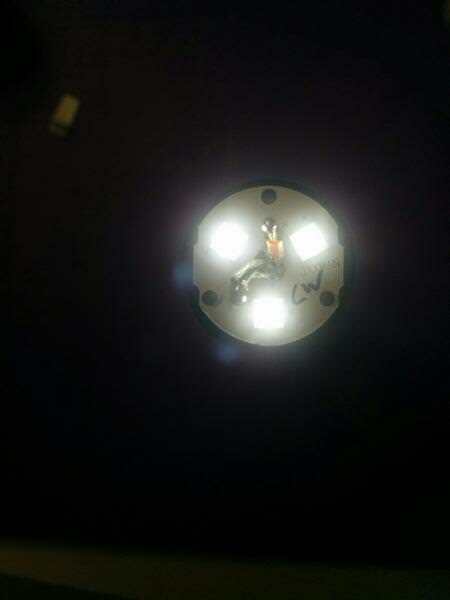 It can only be seen with the camera really on the top of the Led. 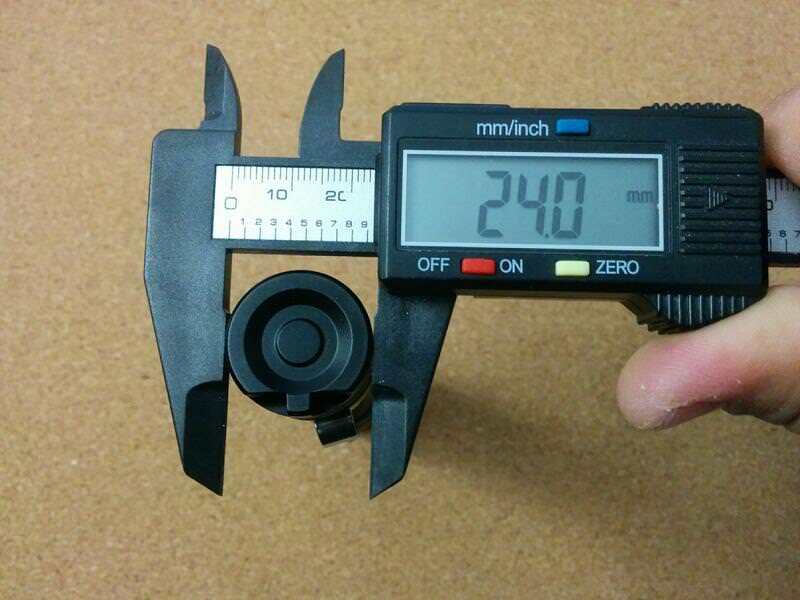 If used on filming of photography , they wil not appear. Please note the differences in the lines in the left and middle. 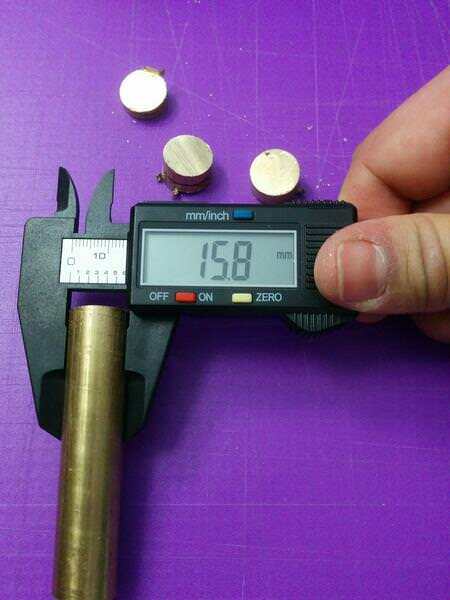 Those are PWM. Regulated current will not produce lines. 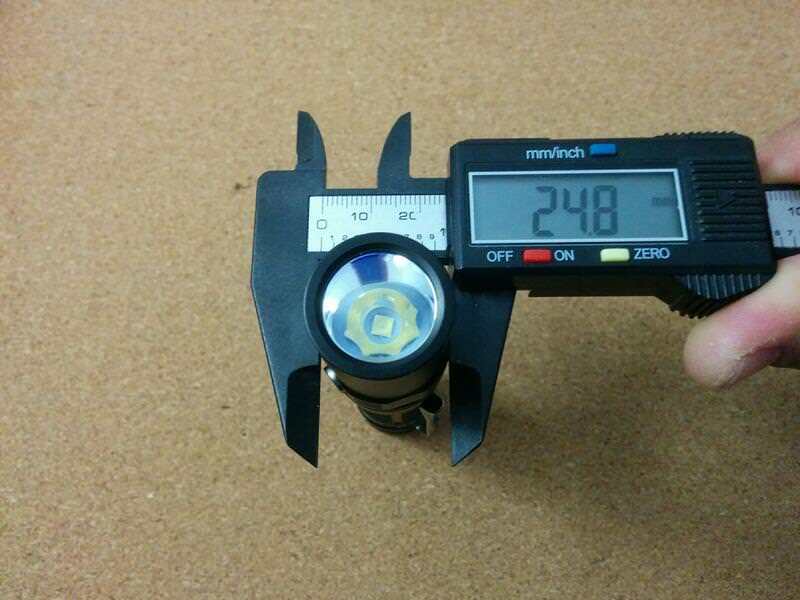 Well, i have a SP32, and it has PWM too, but the frequency is very high, like >20kHz Regulated current will not produce lines. Nice beam shots and good review sir. As I mentioned on the review, the tint is not the one I like the most, specially because I expected it to have a more Neutral White look. I took some beamshots with the TIR lens installed!! 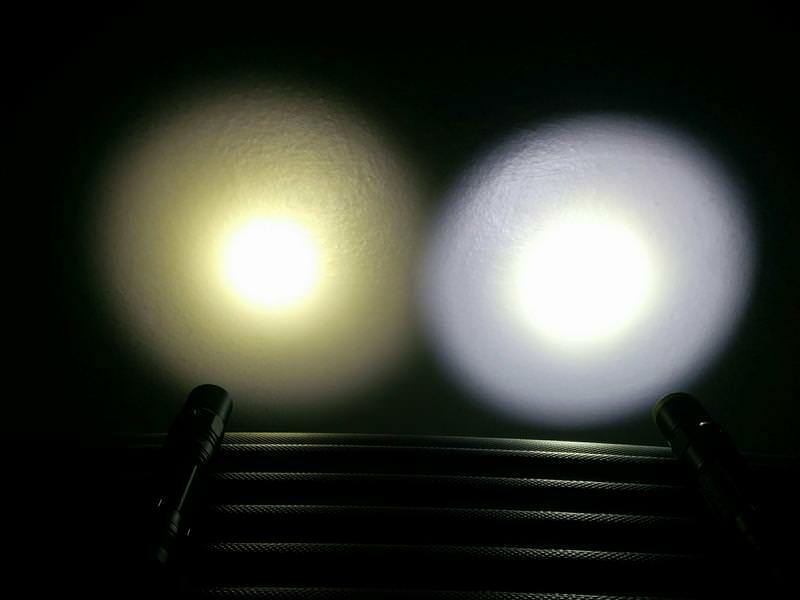 The range of illumination doesn’t seem to be much affected with the TIR vs Reflector! After seeing this video, the Sofirn engineer (through Tracy Wan) said that the stop on/“slow” ramping “may be due to the driver have not debugged to the best condition”. So I don’t know if the other drivers of this light will behave the same way, or if it was a “issue” of all the lights. On further models, the ramping will be improved. Well done on a very thorough review and sharing with us. Could the Obvious pause in the middle of the Ramping Mode be some sort of indication to do with Driver efficiency? 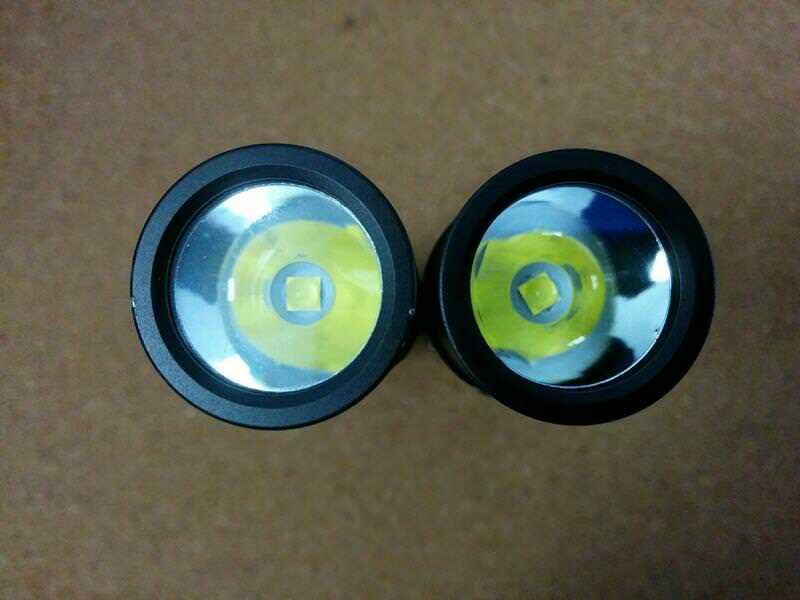 Just a thought as TK mentioned that the Emissar D4 powers up at the Max Regulated point after a Battery Change or Physical Lock Out. 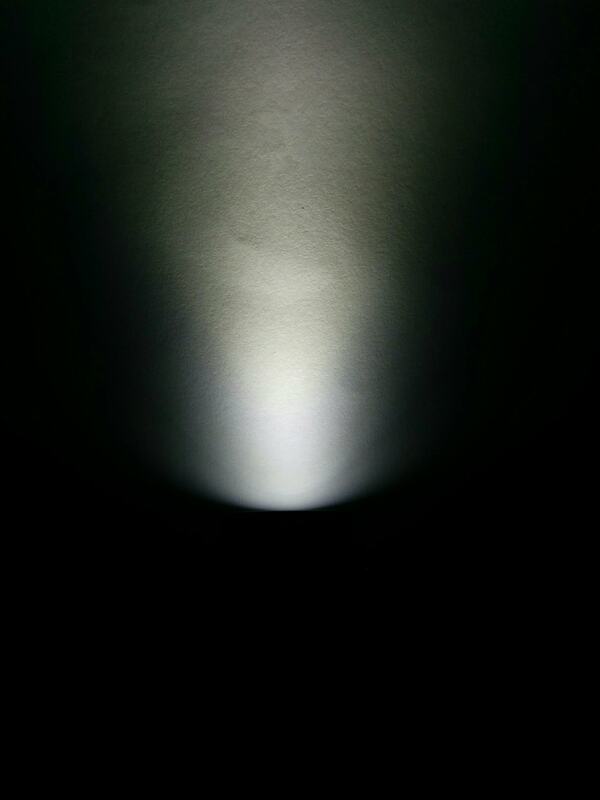 Anyway, really loving this light, and lots of it’s Sofirn siblings, SP35 Heat-Sinking Doubts excepted, (smells Very Hot inside when changing batteries, even on lower modes!). They do seem to be trying really hard to please. Wouldn’t be surprised if they build a BLF project for us in the future! Many Thanks for your Hard Work reviewing this. Thanks for your words and reading Splott-Light! […]Could the Obvious pause in the middle of the Ramping Mode be some sort of indication to do with Driver efficiency? Well, I’m not sure about this, but it may have something to do with the driver (the channels?) used. 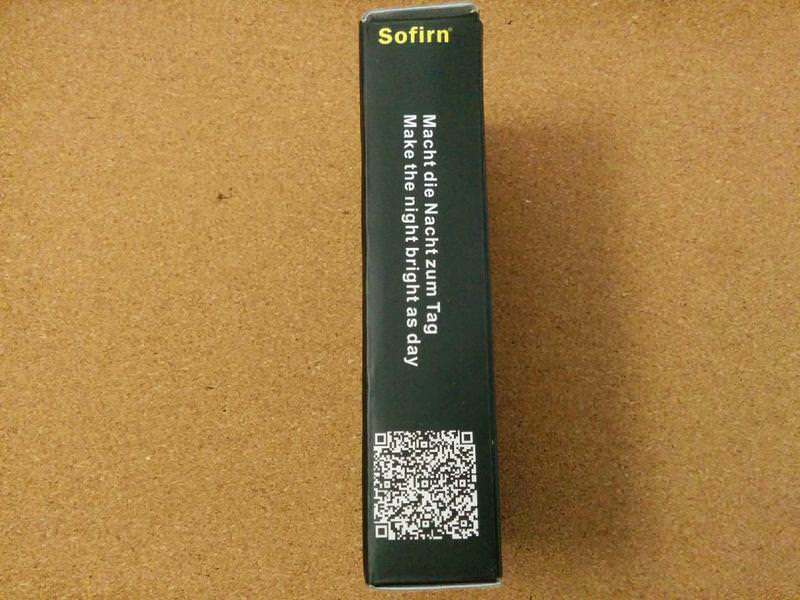 Tracy from Sofirn said that their engineer said that the issue on ramping ““may be due to the driver have not debugged to the best condition”. I don’t know what does this mean, but maybe it was some technical issue on the driver, and maybe not extensive to all the units. Hum, the SP35 seemed a solid model… Maybe some heatsink issues, then? 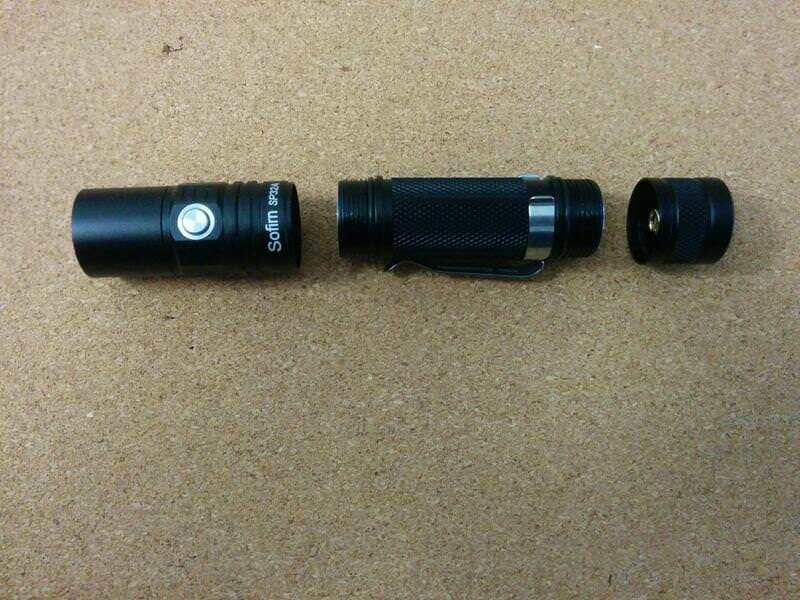 Aside from the SP32A, I only have the SP32 and their smaller lights (SP10A, SP10B, SF14 and a dismantled SF10). But yes, they are working well and they are asking for some contributions to one of their new models (named K6, you can see in my signature). So, I decided to disassemble and mod my SP32A! I turned it into a triple! 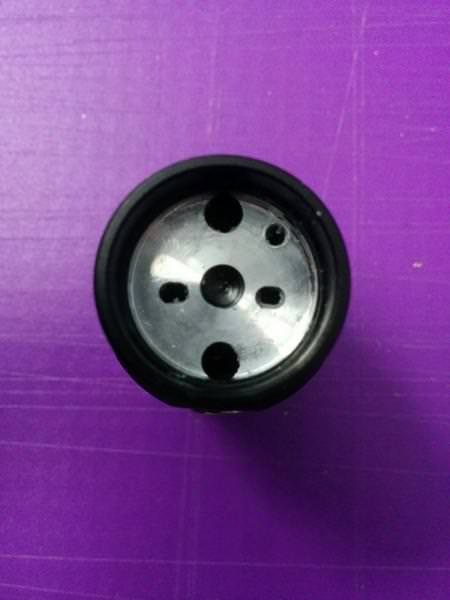 Here are some photos of the original components, and of the mod! Very cool. What is the max run time? 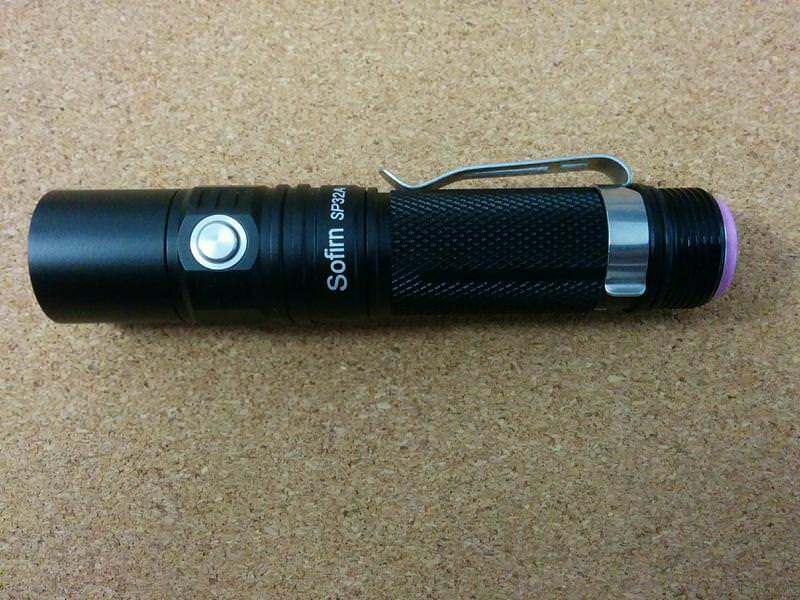 I bought all the XP-L2 Sofirns including the SP31, SP32, SP32A. 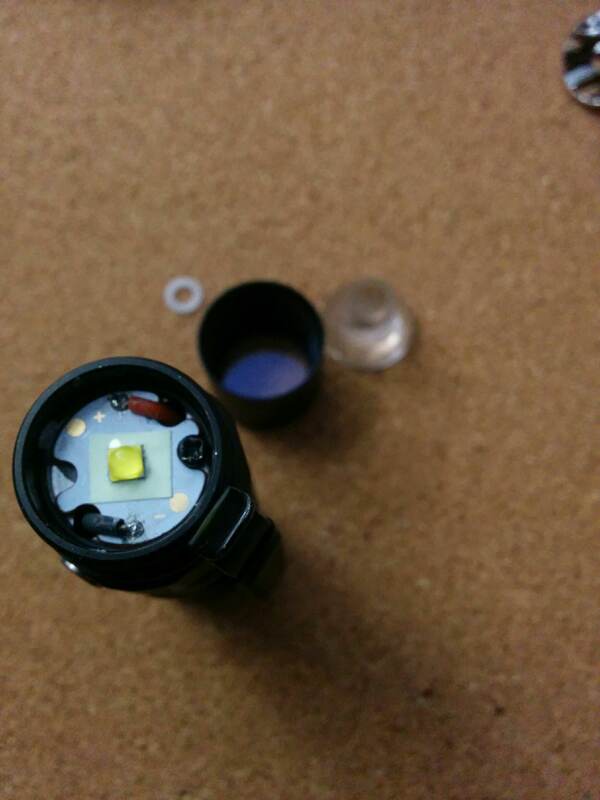 SP32 had the warmest tint but not red/peach enough compared to my better tinted XPL lights such as the Emisar D4 and BLF A6. The SP31 and SP32A is too cool white for me. The SP32A had the best UI though. I also bought the SF36W, which to me has the best rear clicky I have ever seen but it is too warm. 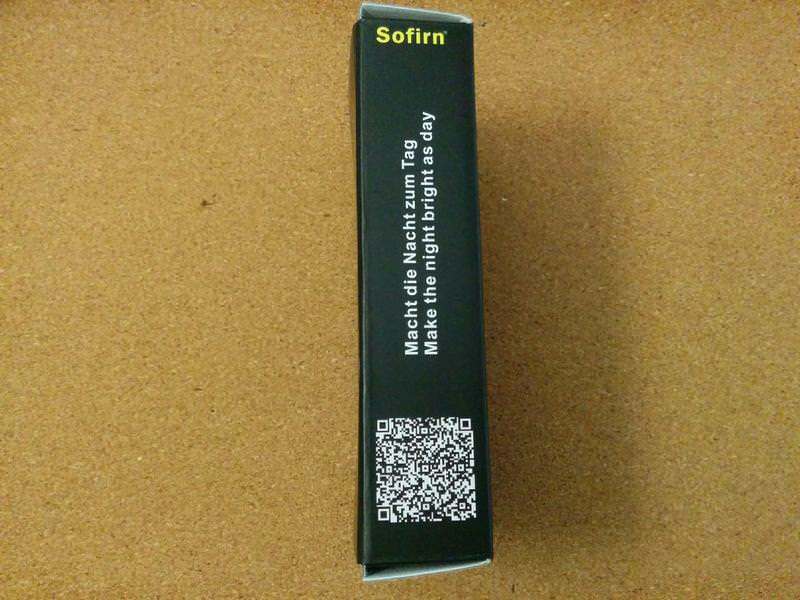 I haven’t found a really good Sofirn that I liked. 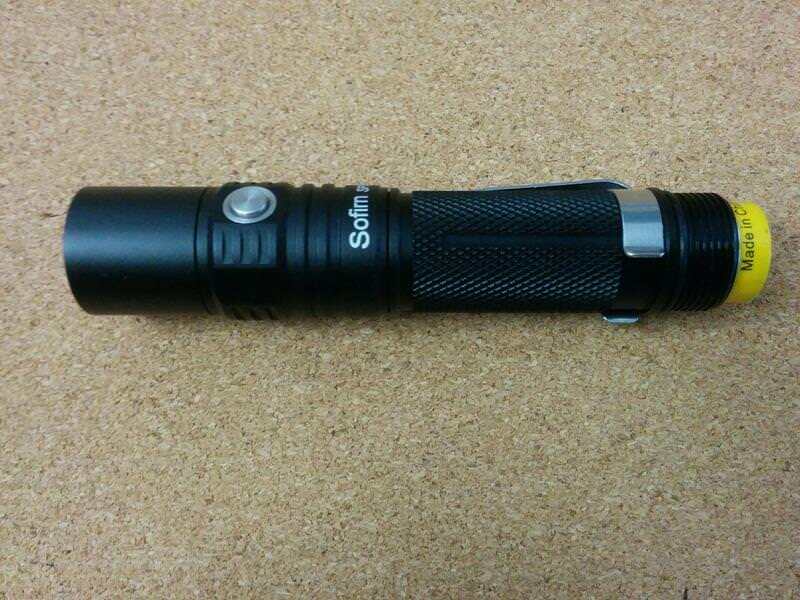 I bought all the XP-L2 Sofirns including the SP31, SP32, SP32A. 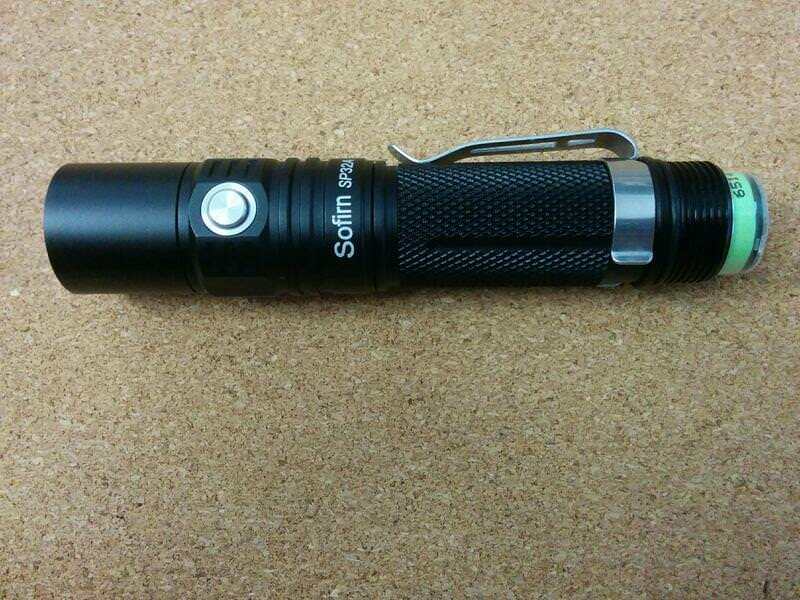 SP32 had the warmest tint but not red/peach enough compared to my better tinted XPL lights such as the Emisar D4 and BLF A6. The SP31 and SP32A is too cool white for me. The SP32 had the best UI though. I also bought the SF36W, which to me has the best rear clicky I have ever seen but it is too warm. 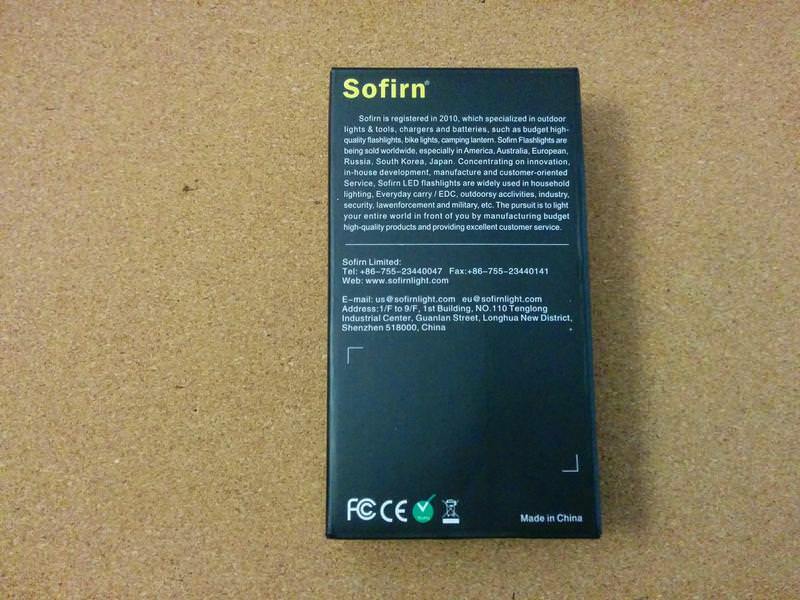 I haven’t found a really good Sofirn that I liked. 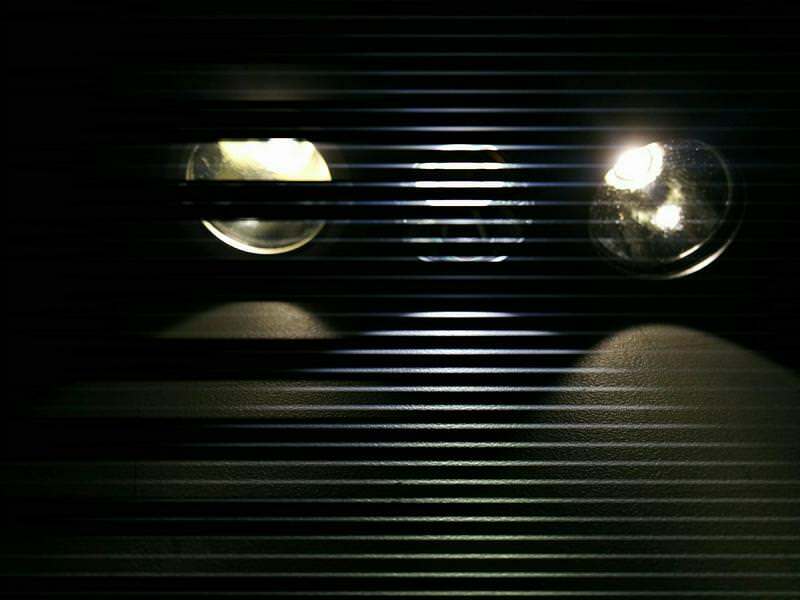 Hum, from those lights I only have the SP32 and SP32A, and I totally agree with you on the tint! 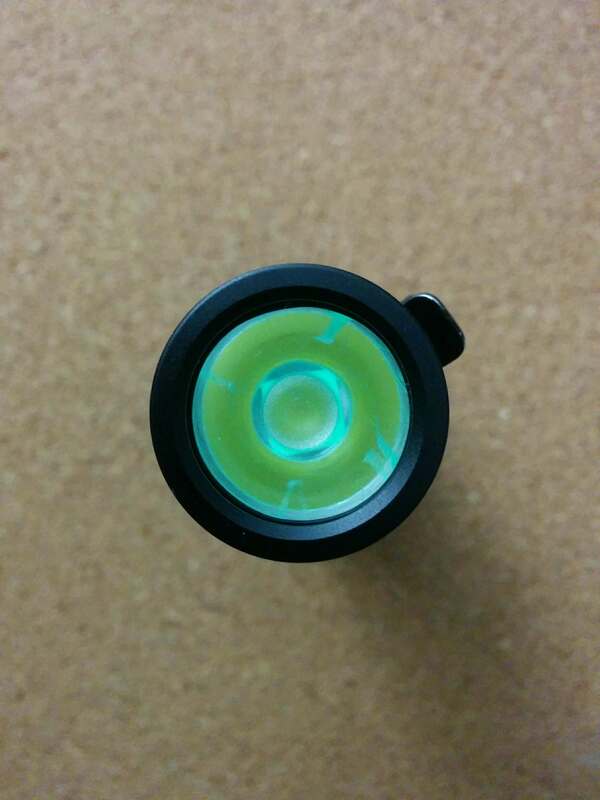 SP32A is too much Cool White, and the XP-L2 has a big tint shift, with a greenish look! The SP32 has a better tint, more Neutral to Warm, but still it does not render those colours so good! This is my bedside flashlight with a Convoy diffuser to use it like a “go-to-sleep” light Used on Moonlight or Low levels it is nice! About the UI, I prefer the SP32A on the quick access to turbo, though I miss the quick access to (a) moonlight level like the SP32. 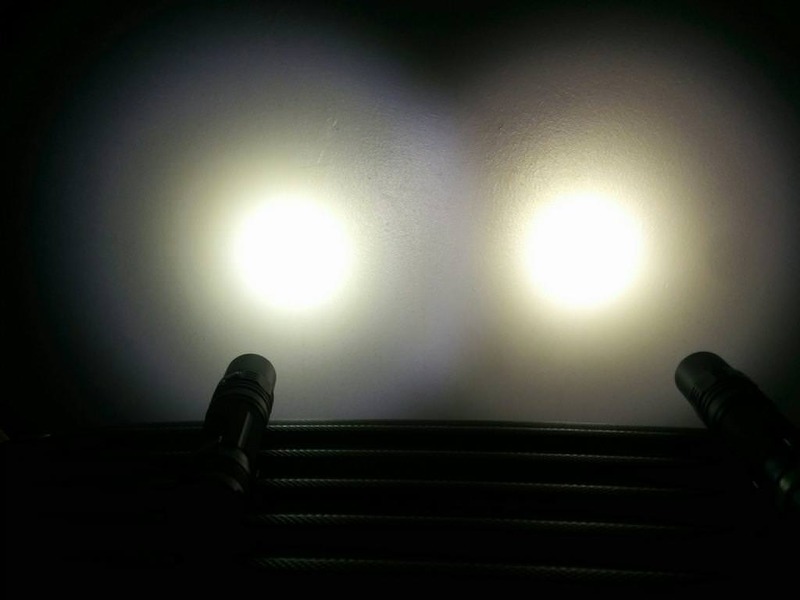 Both are solid lights, tough!! 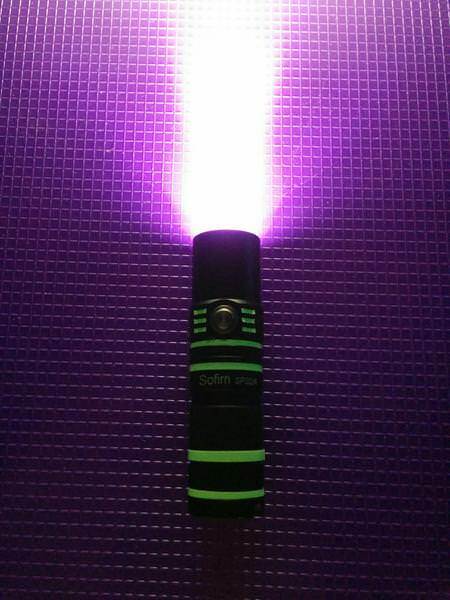 The SF36W I don’t know, but I guess Lightbringer has it and likes it a lot! Sorry I meant to say SP32A had the best UI not SP32. I edited my post above. SP31 UI is horrible. You need to untwist it to turn it off. Unless I’m missing something. 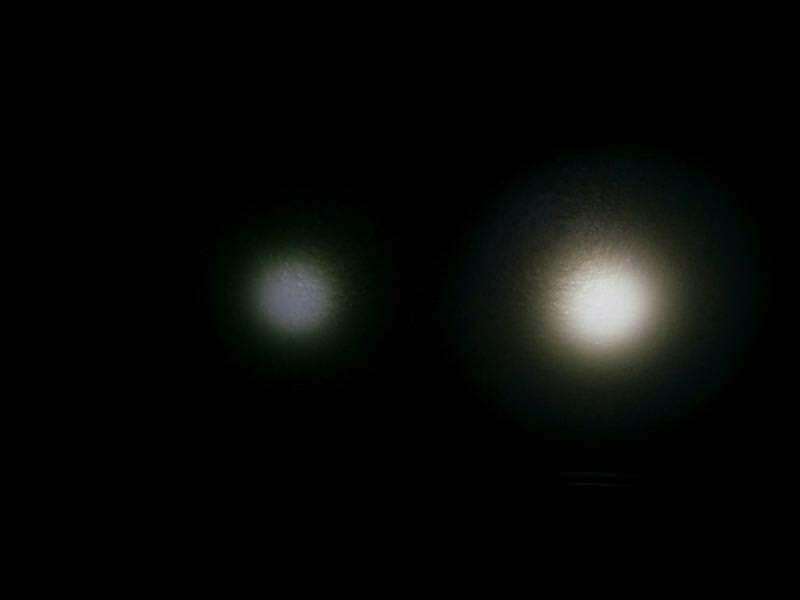 Some beamshots after the triple mod!! 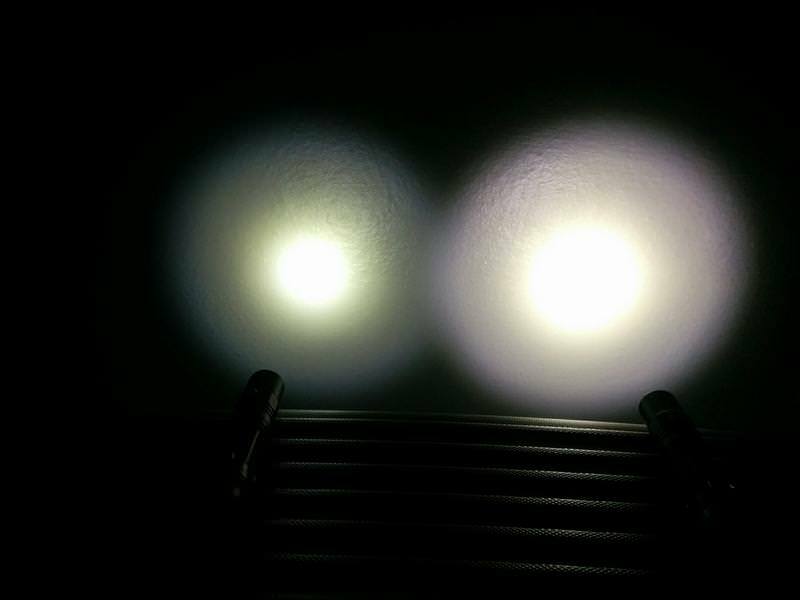 I must say that the tint and beam with these LEDs and triple TIR are not the best on close range and white walls. 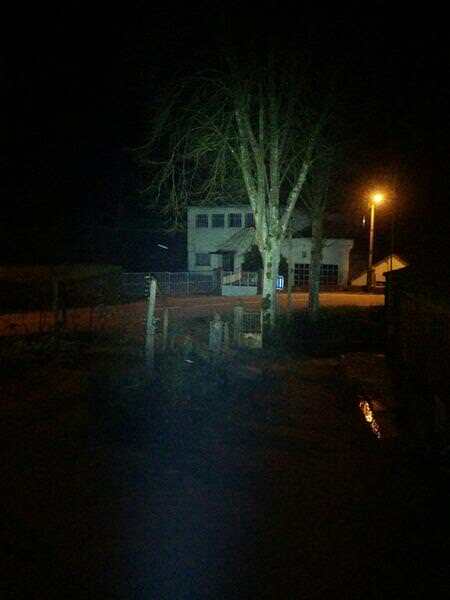 But, at a distance and with other non-whit environments, it has a nice beam and even being CW emitters, they look nice! 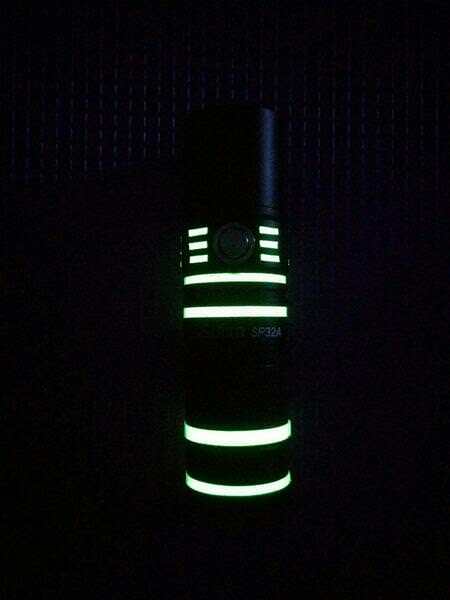 Great review, thanks for posting plus all the tips and mods, I really learned a lot from this, I especially like how the convoy 350 tube fits. I’m planning to order one of these. In the beam shots above it appears the tint is more neutral with the TIR, (at least it doesn’t appear to have the bluish tint shift in the spill anymore) Are you seeing that improvement in reality or is it just the camera playing tricks? Also what is the degrees of TIR you used and where did you get it? Please post a link if possible. Thanks. Yup, with that lens the tint indeed tended to more NW, there wasn’t “greenish” tint shift and it didn’t look, indeed, so CW. The camera picked it but in reality was even better! 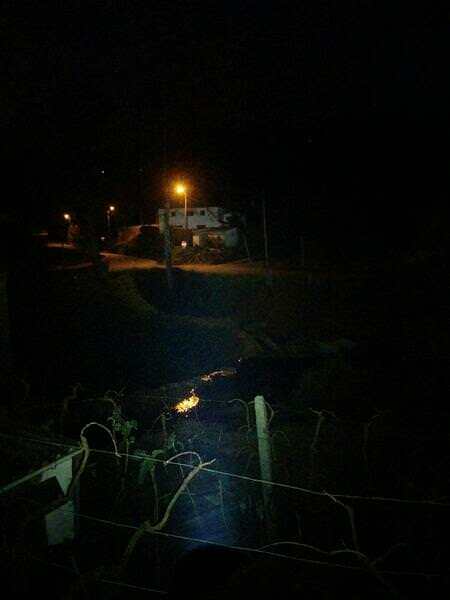 The cellphone tends to distort the reality a little bit! 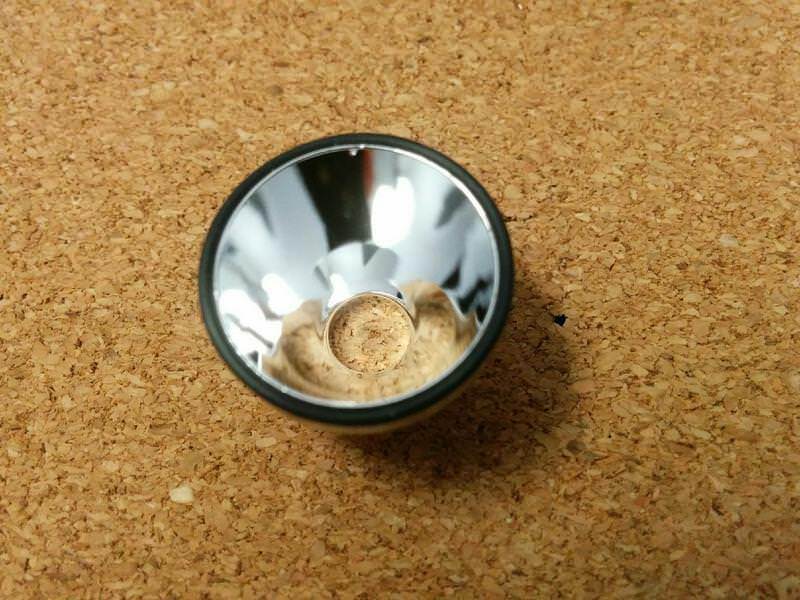 It is a Stainless Steel (3xAAA / 18650) light, and I modded it with a brass pill, biscotti driver and a Convoy S2+ reflector and lens. I had to dismantle it later but will put it to work again soon! 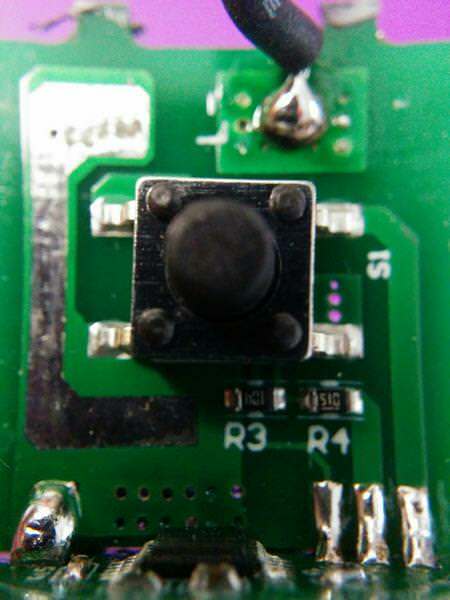 About the TIR, please check this thread, as I experimented XML2 LED with TIR lenses and that was the first one: http://budgetlightforum.com/node/56424 . 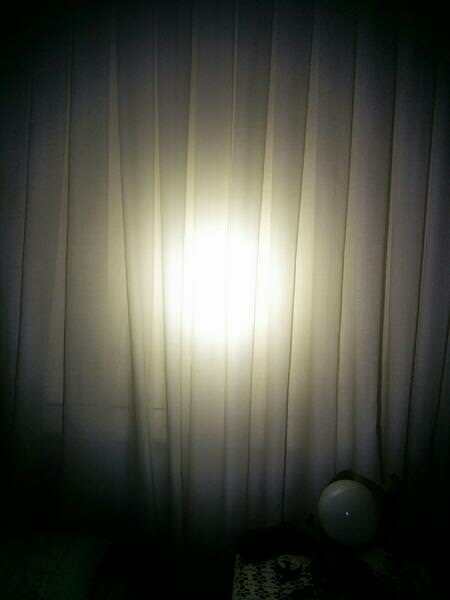 I also tried it with XPL-HI here: http://budgetlightforum.com/comment/1203818#comment-1203818 . Also the first one.